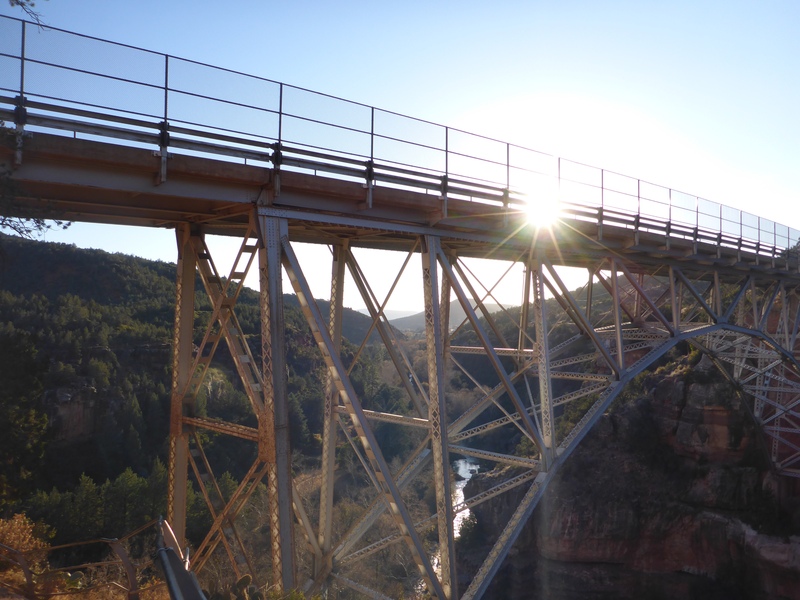 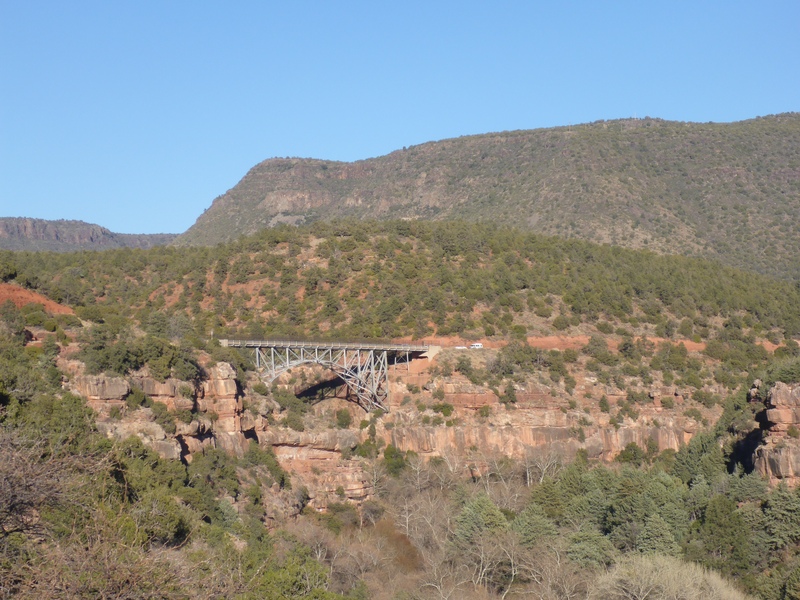 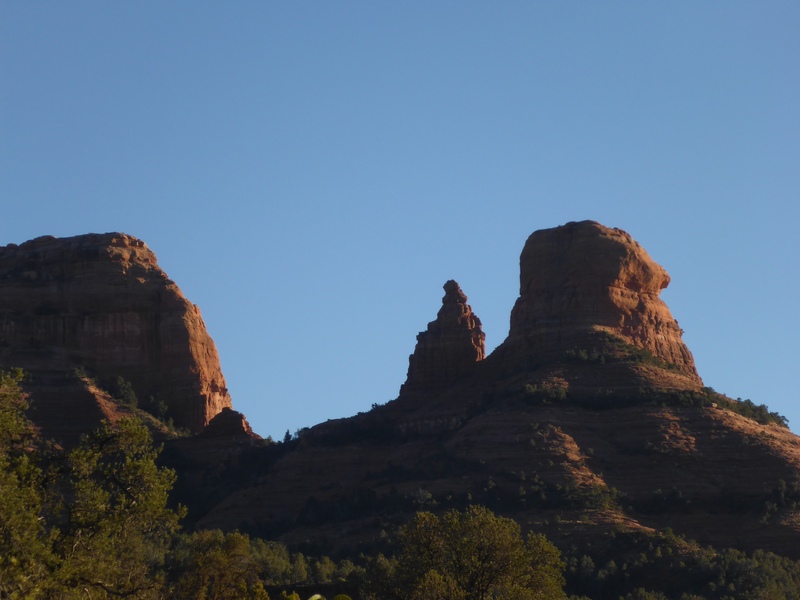 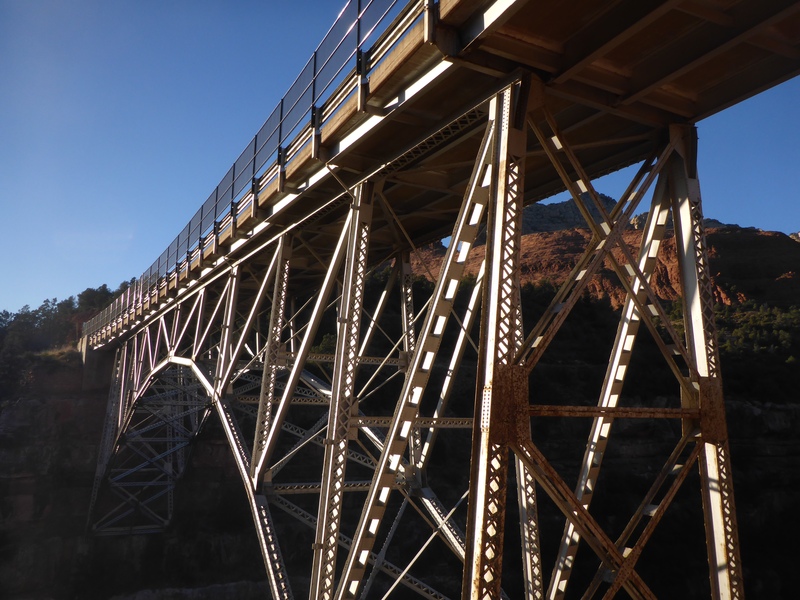 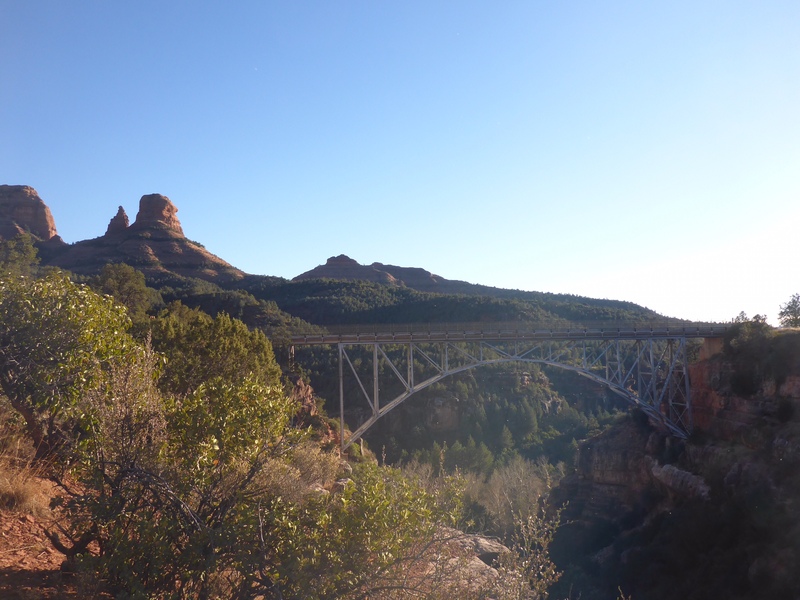 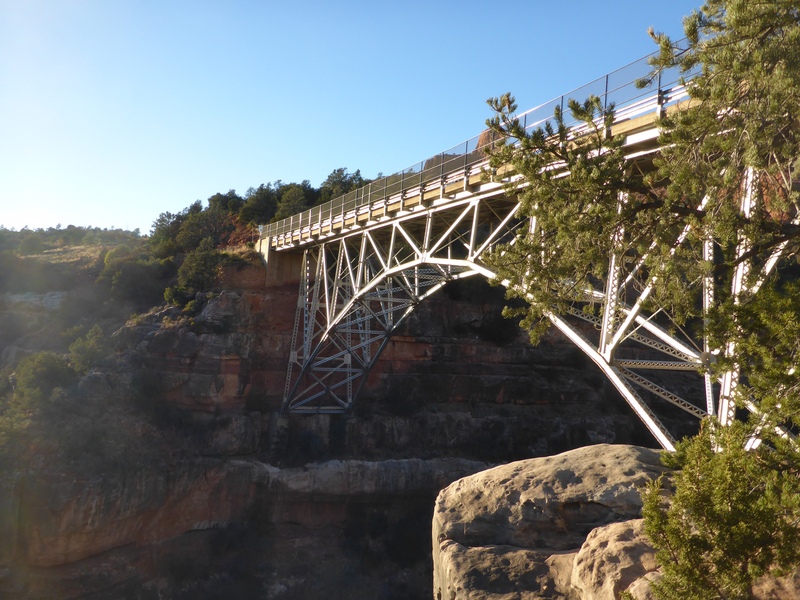 If you are coming into Sedona from the north on Arizona State Route 89A, you will eventually cross over Midgley Bridge. 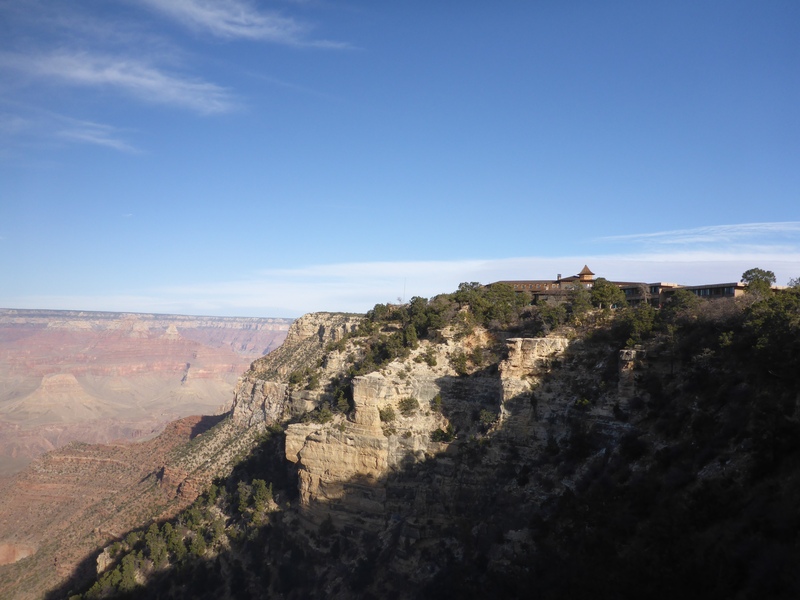 This is a striking piece of architecture with some beautiful surrounding views. 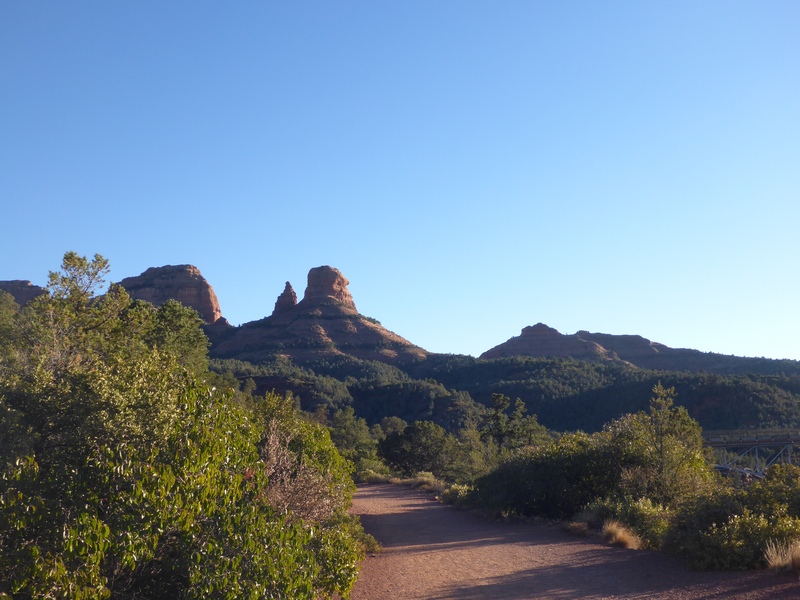 There are also a few hiking trails that head out from the small, crowded parking lot. 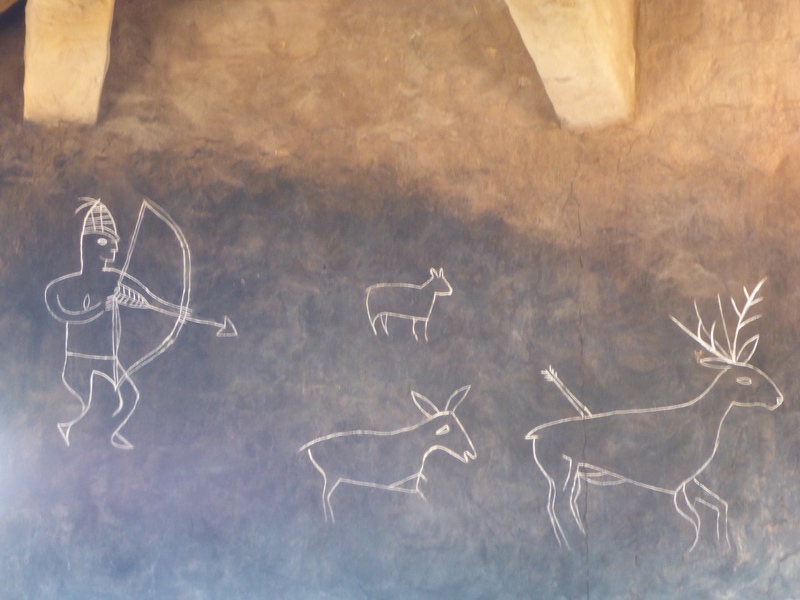 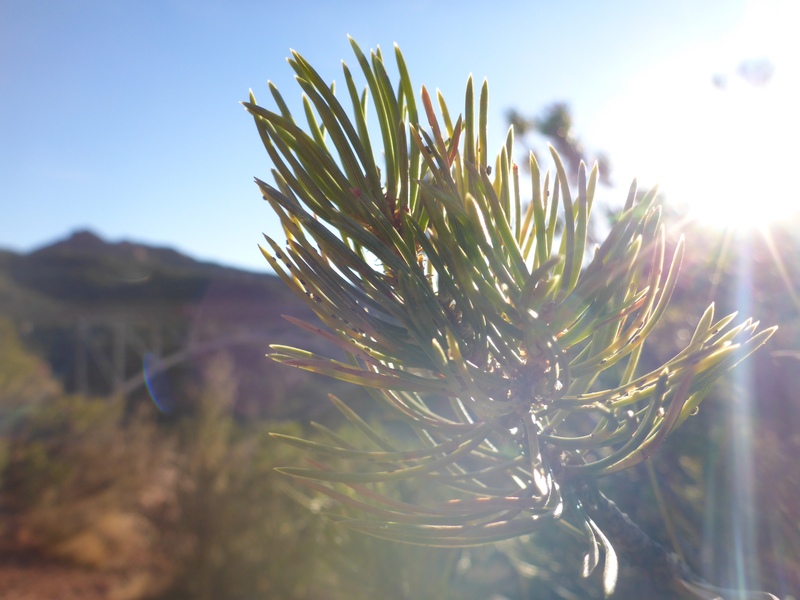 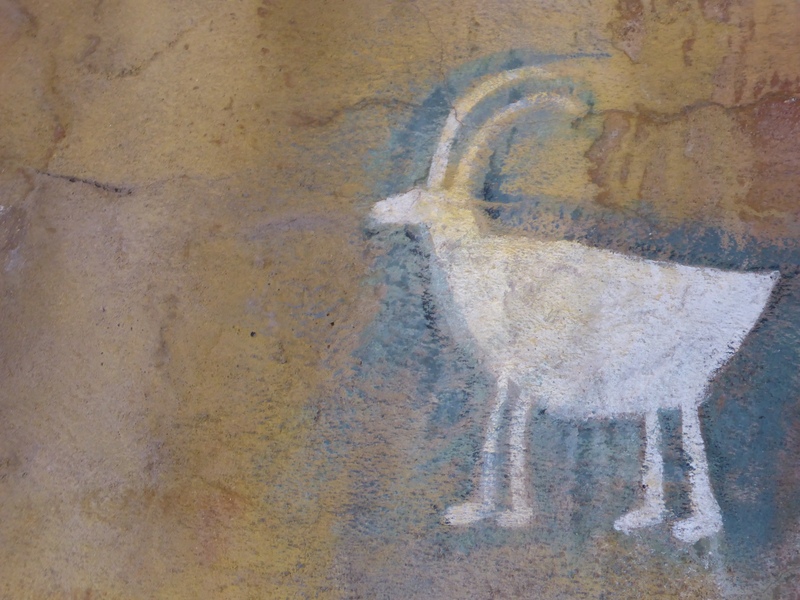 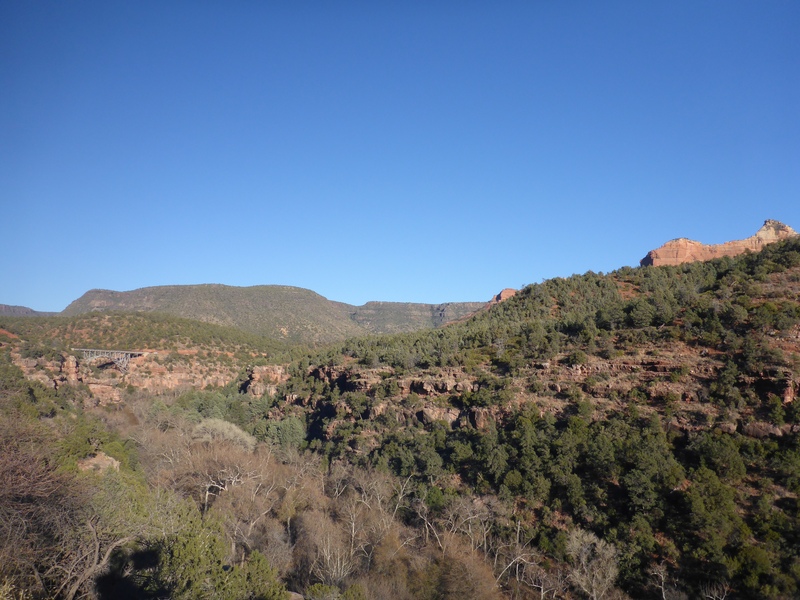 On your walk, you will have sight lines to Oak Creek and the surrounding canyon. 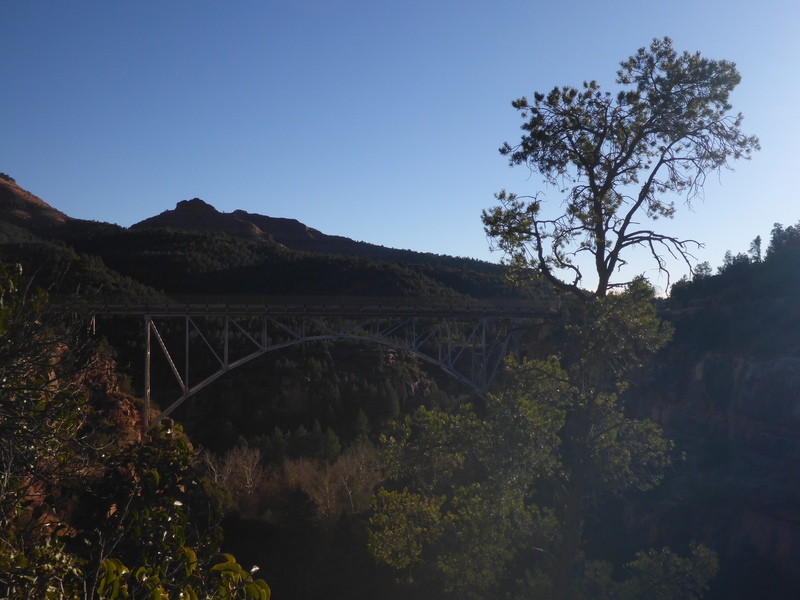 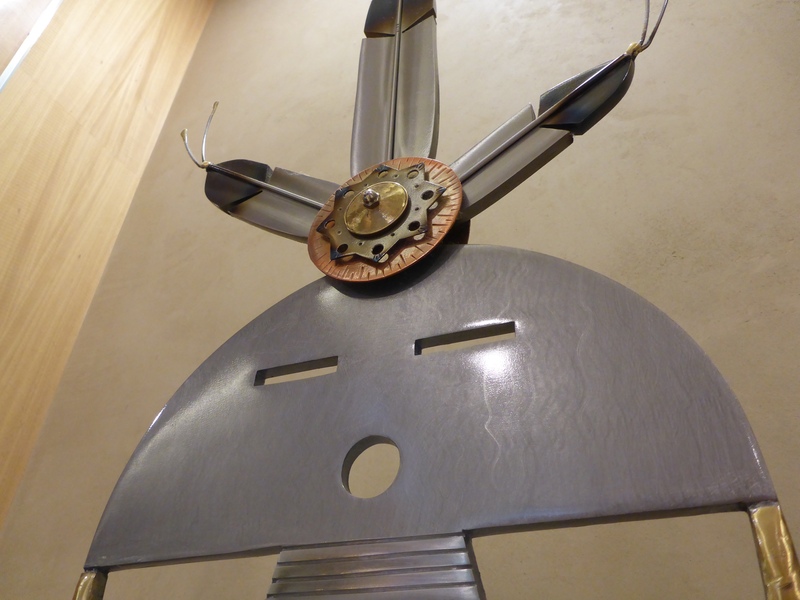 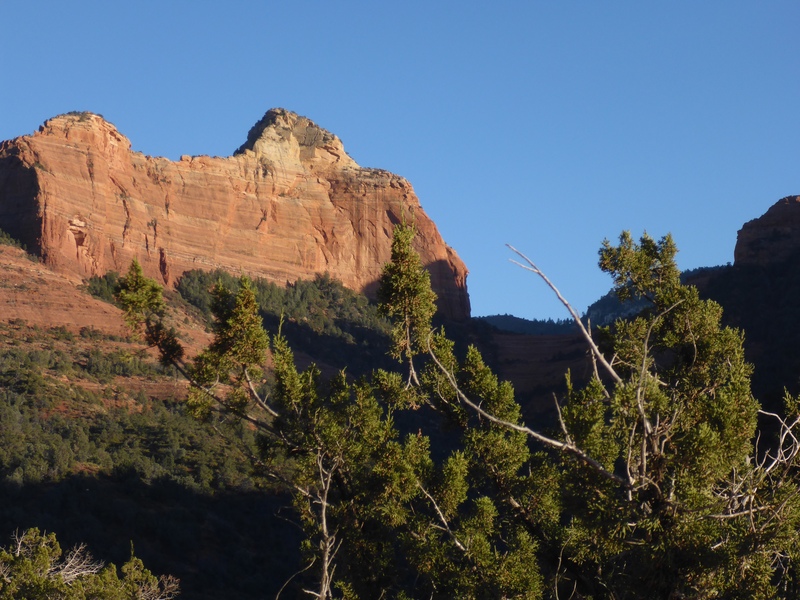 This is a perfect place to stop for a snack and to stretch your legs before moving on to Sedona. 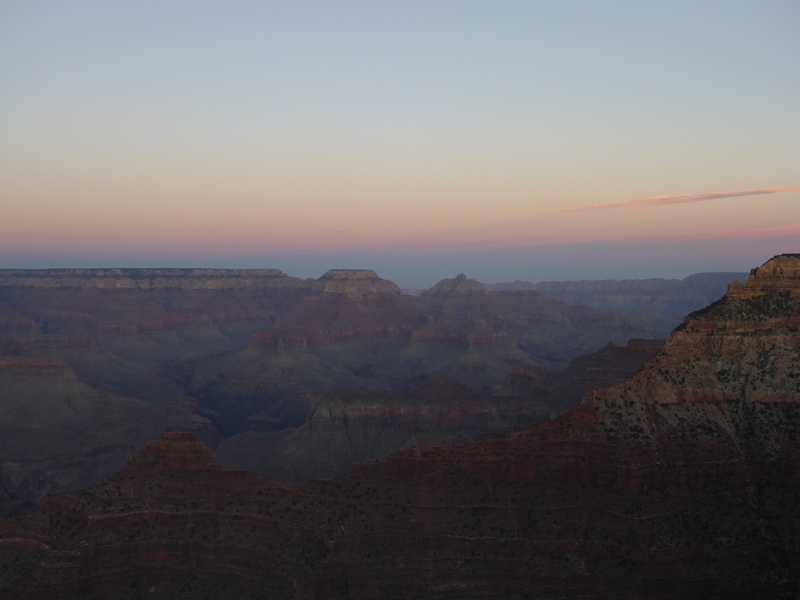 My camera is still full of photos from my holiday trip to Arizona, so now is the time to post them. 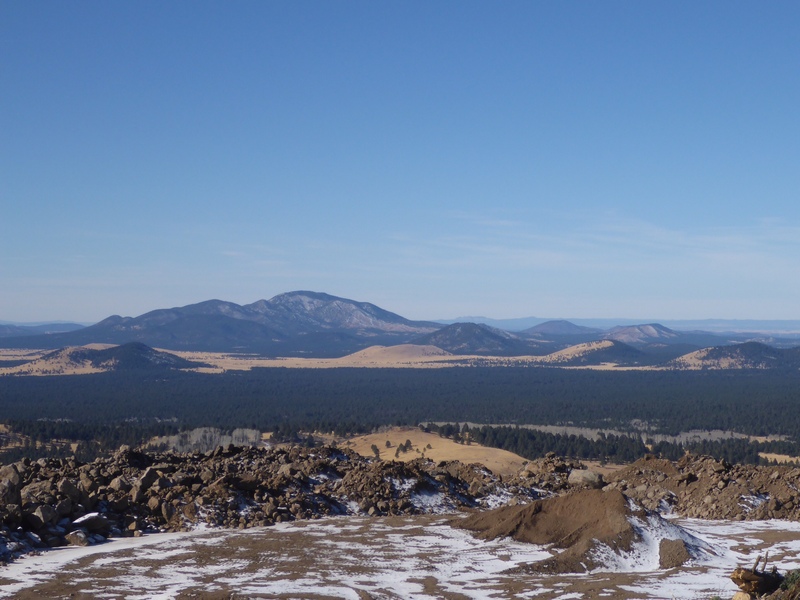 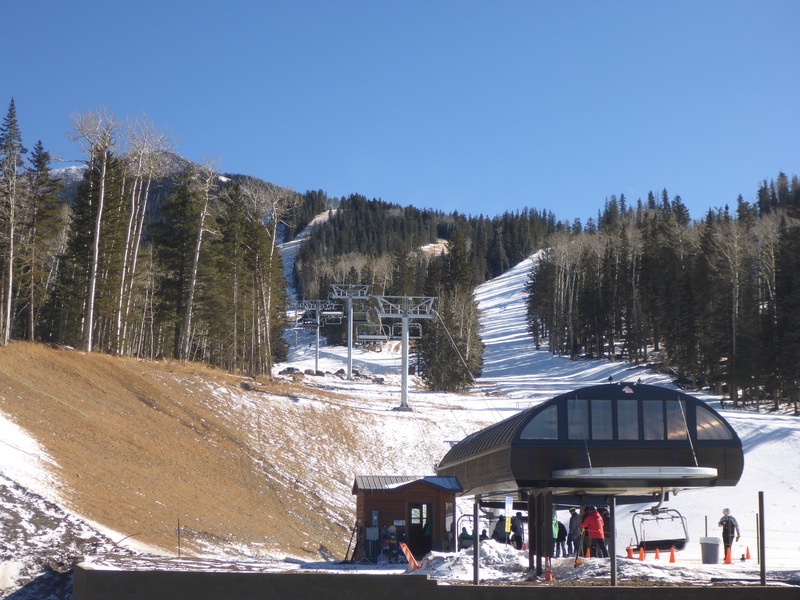 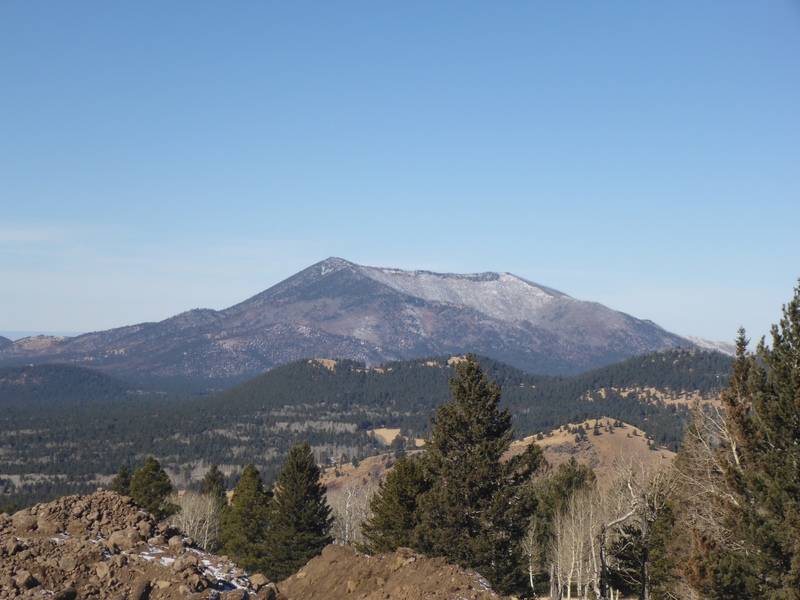 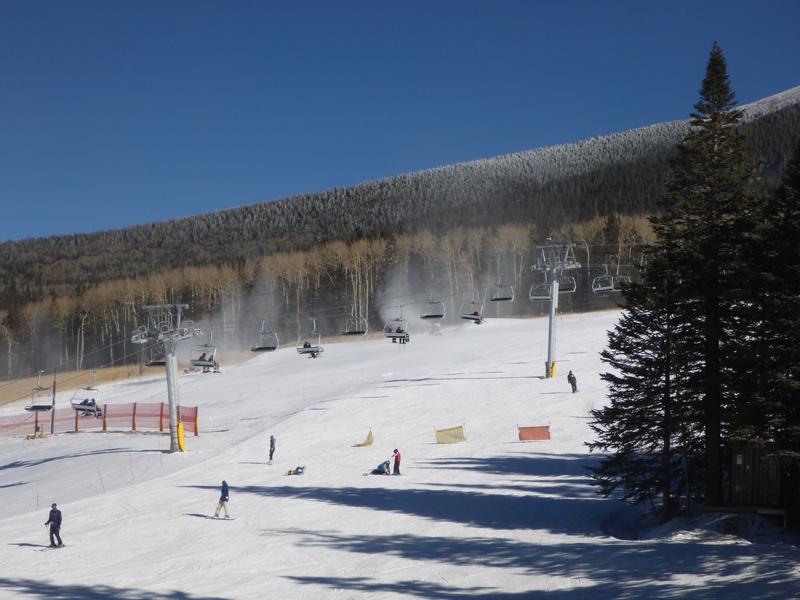 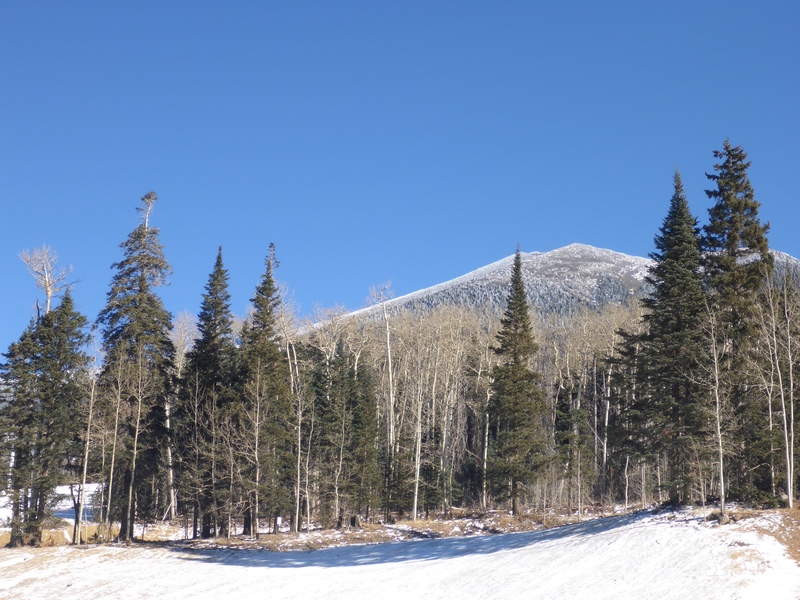 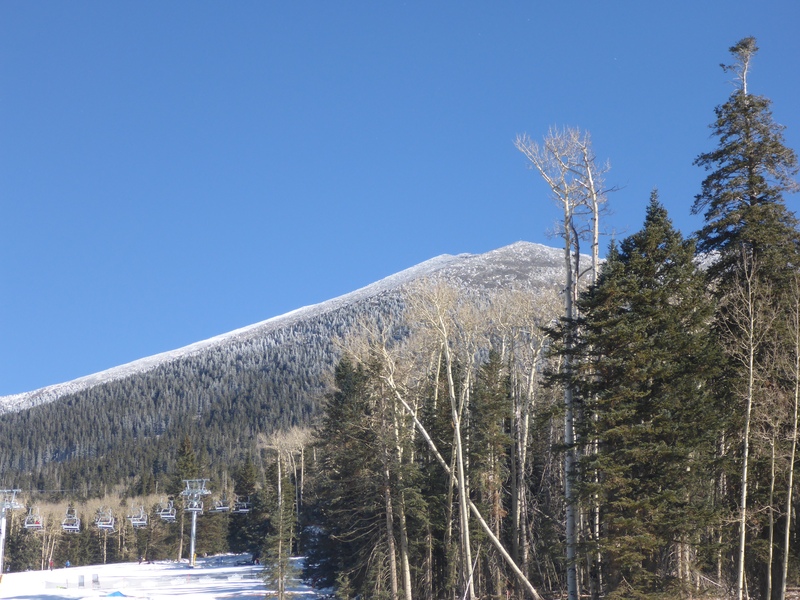 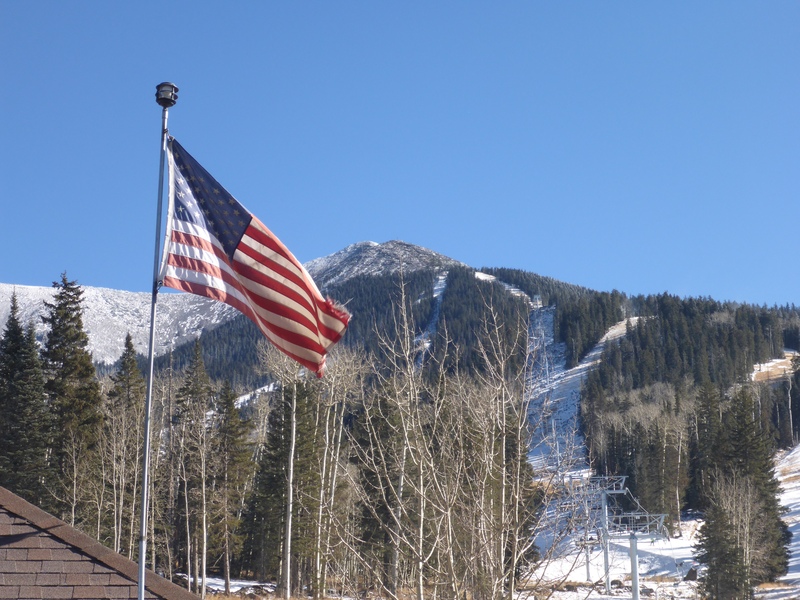 These are from the ski resort called Arizona Snowbowl, which is a short 7 miles from Flagstaff Arizona where I stayed for a few icy days. 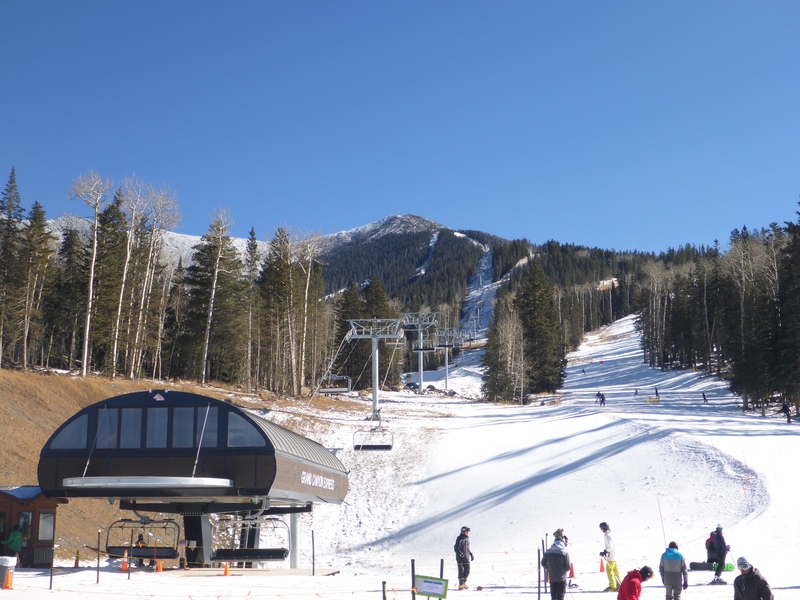 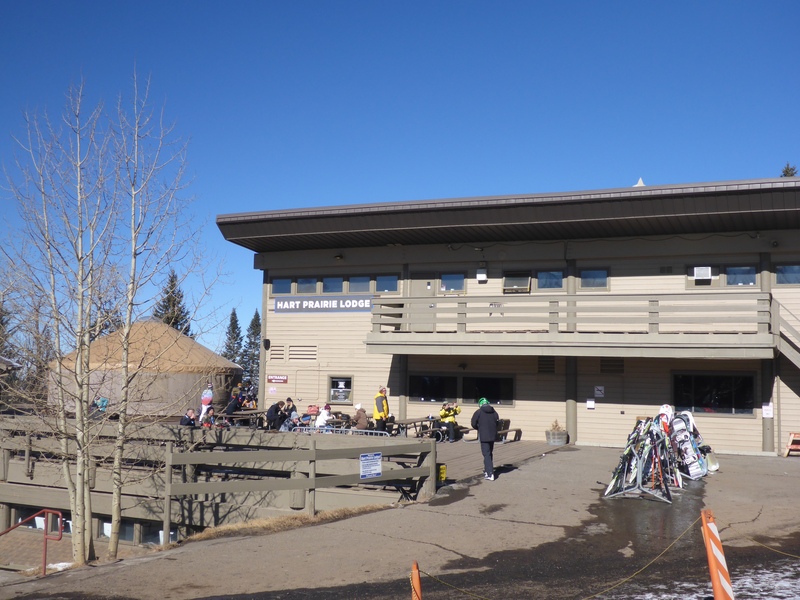 When the weather cleared, I took a road trip up the mountain to see how they ski in Arizona. 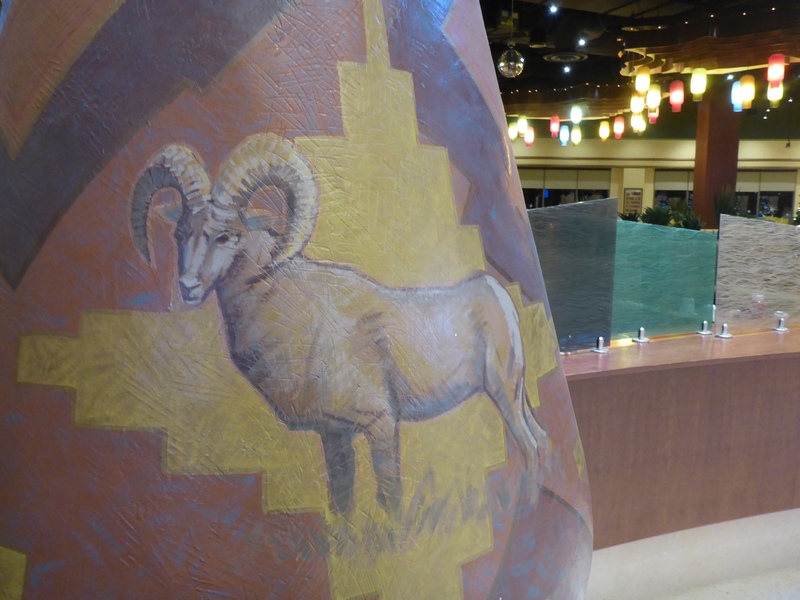 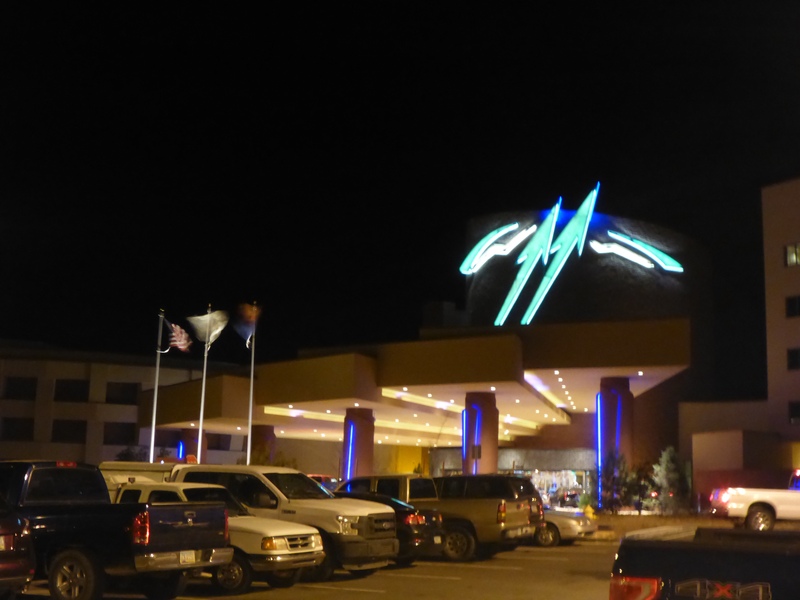 Just about 30 minutes from downtown Flagstaff Arizona, off of I40, is the Twin Arrows Casino. 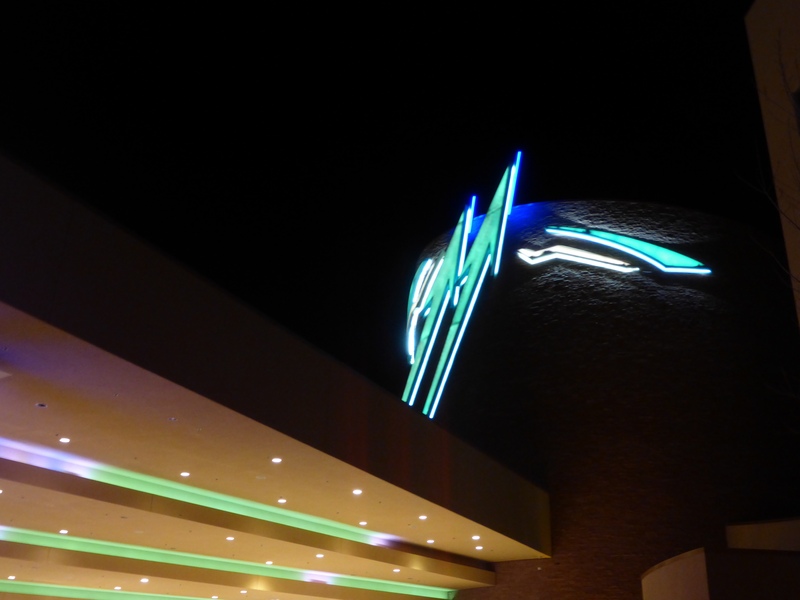 It makes for a nice, welcoming place on a cold and blustery Winter night. 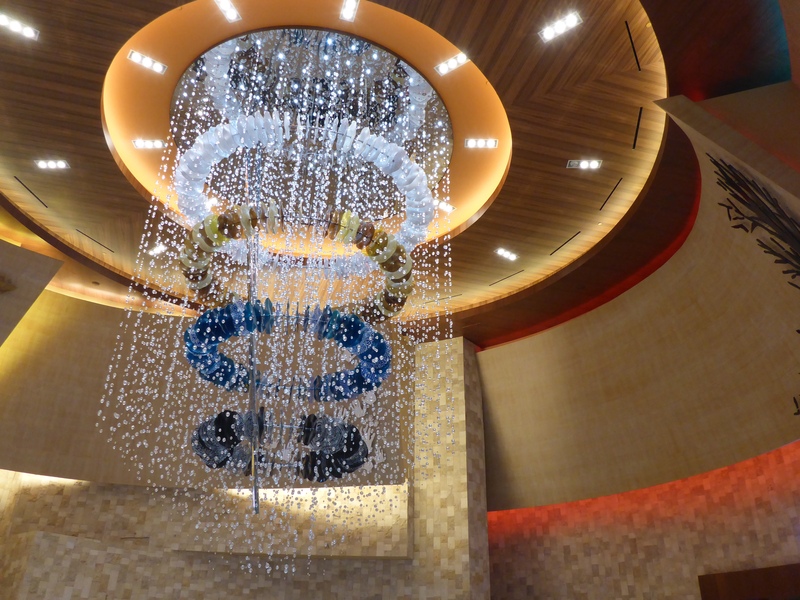 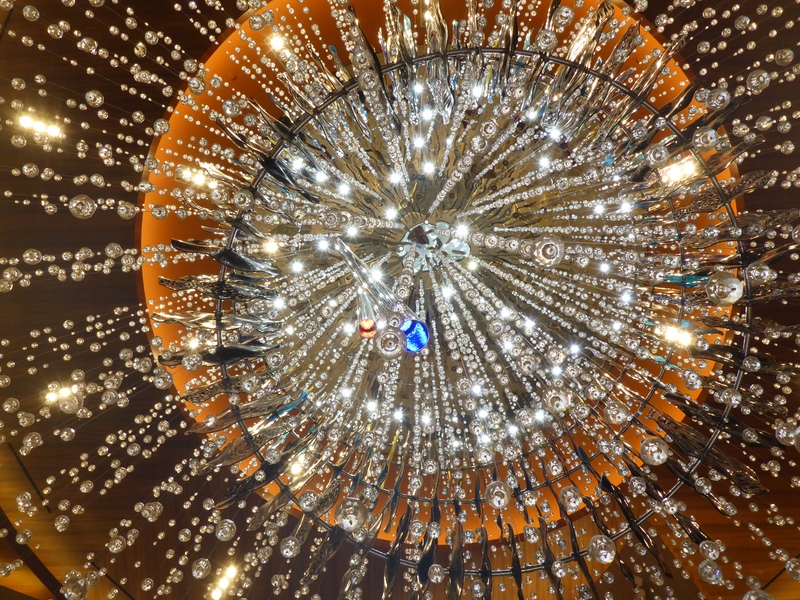 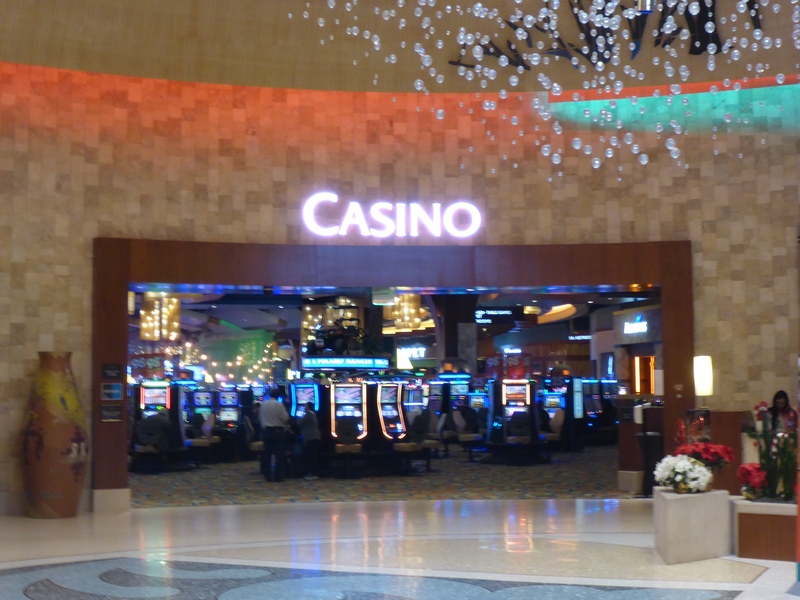 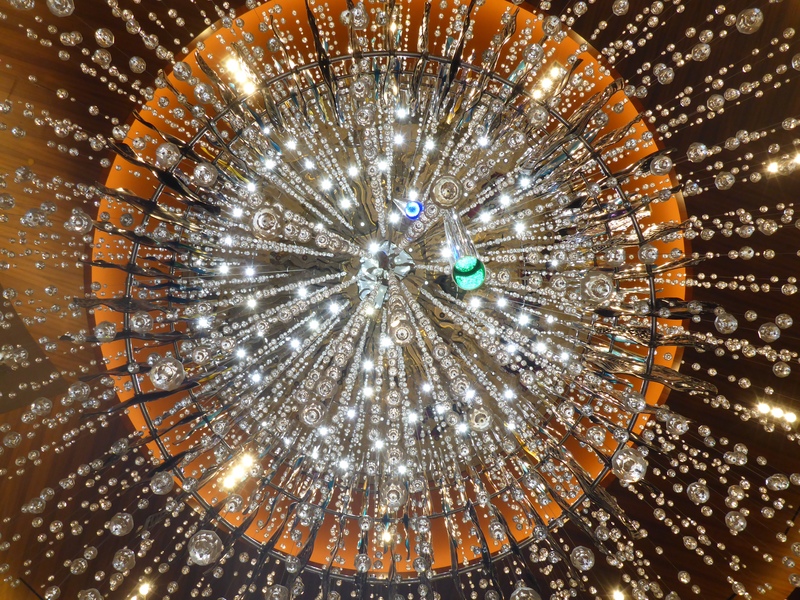 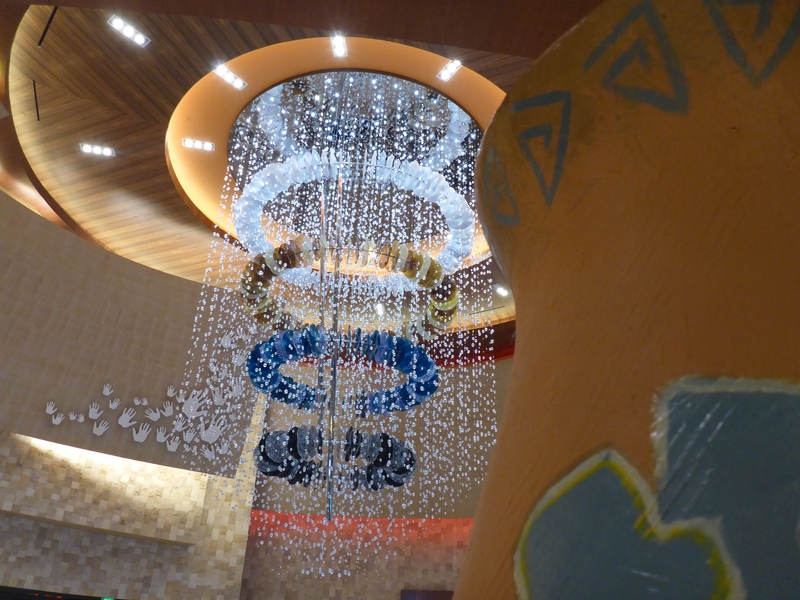 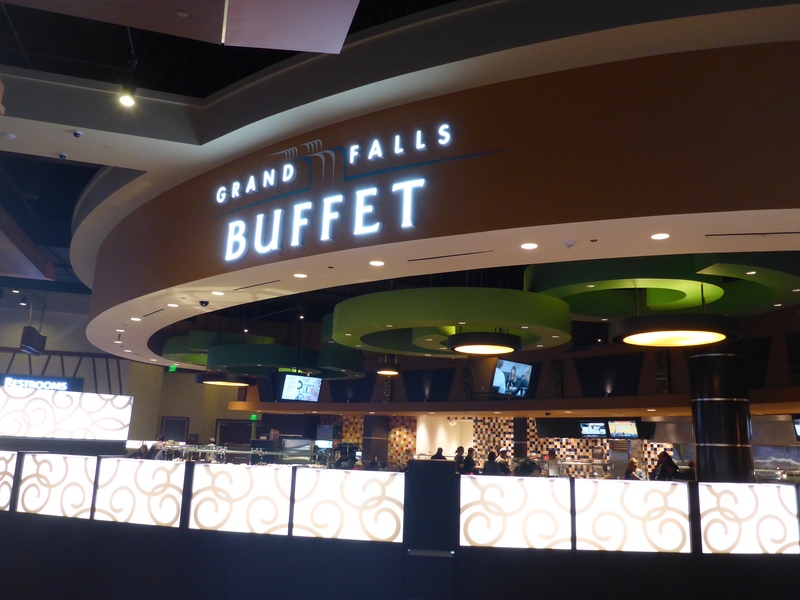 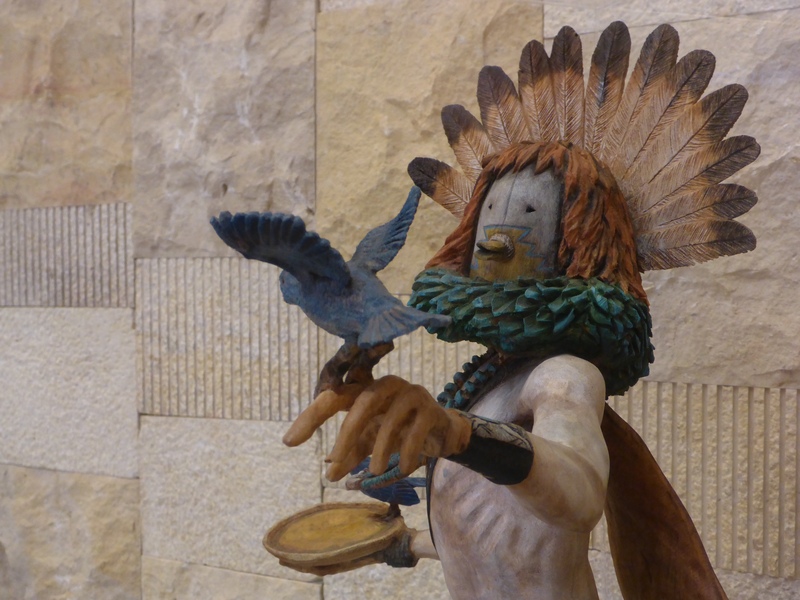 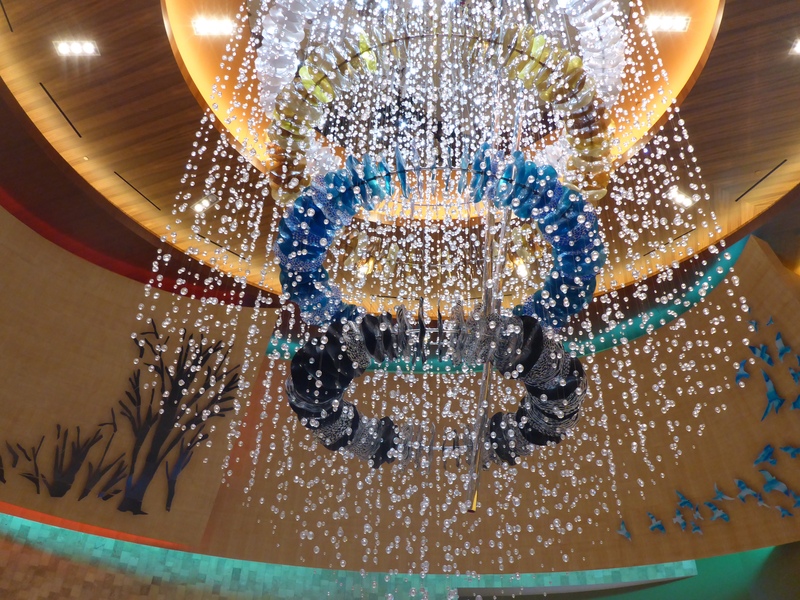 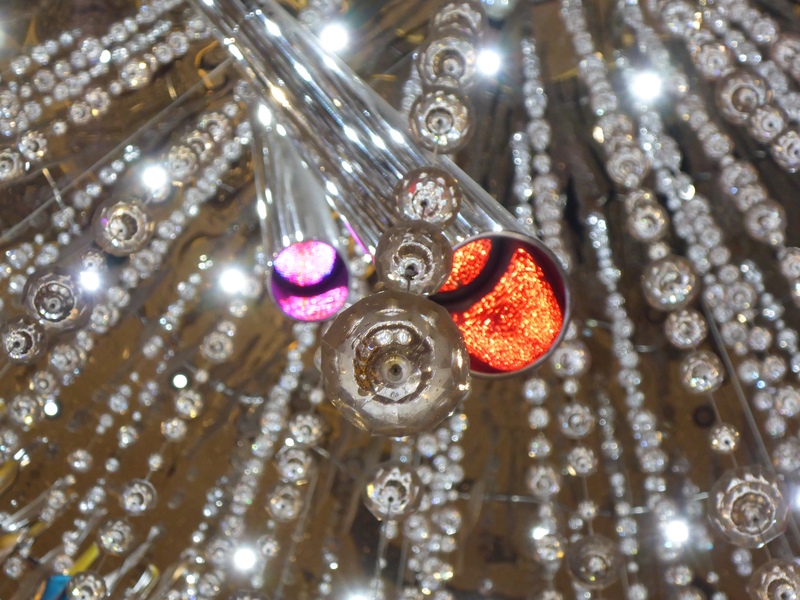 They have an incredible chandelier in the lobby, several restaurants including a small buffet, Native American artwork, and a pretty nice casino floor where you can donate some of your hard earned cash dollars. 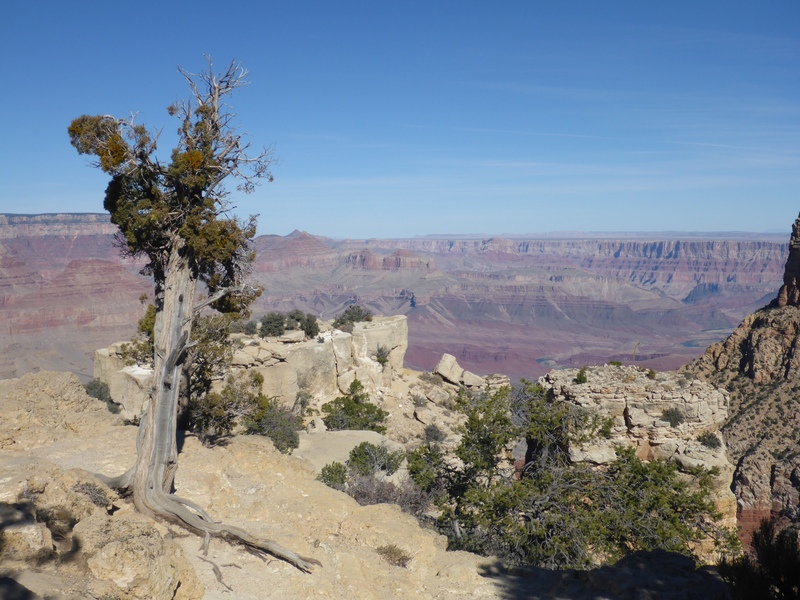 The Desert View Drive curves along the rim of the Grand Canyon with several nice stopping points along the way. 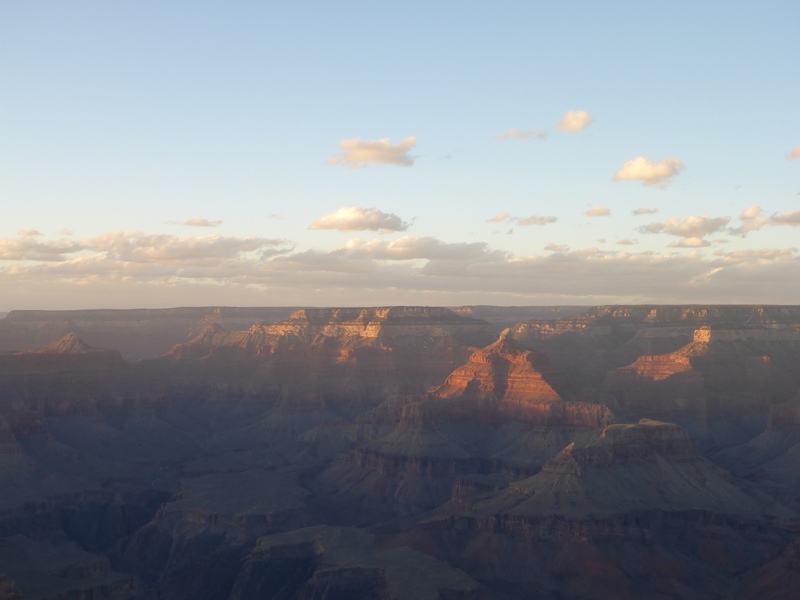 If you are not tired of Grand Canyon photos by now, you can pick up a few more beauties for your collection. 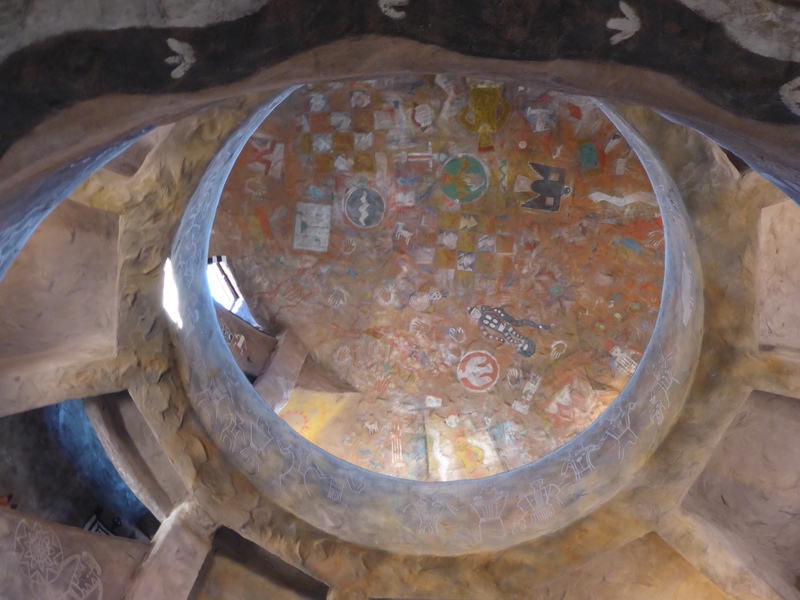 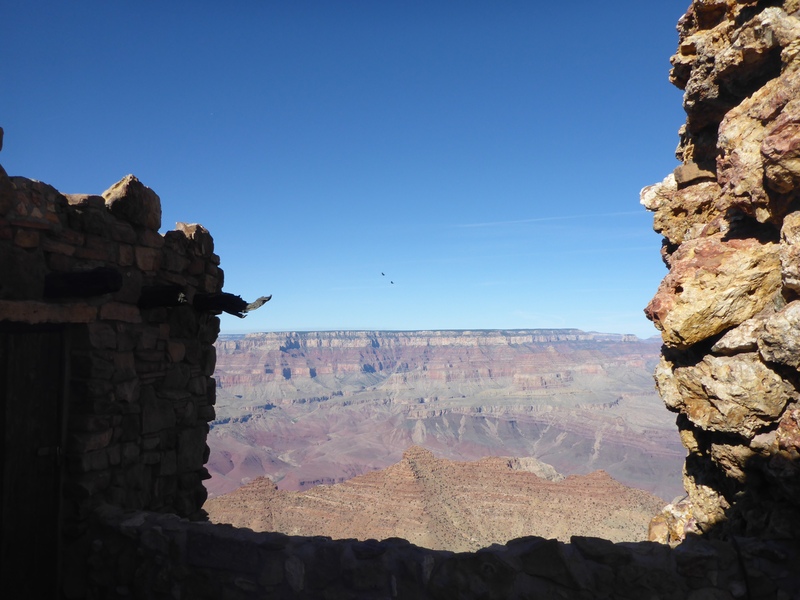 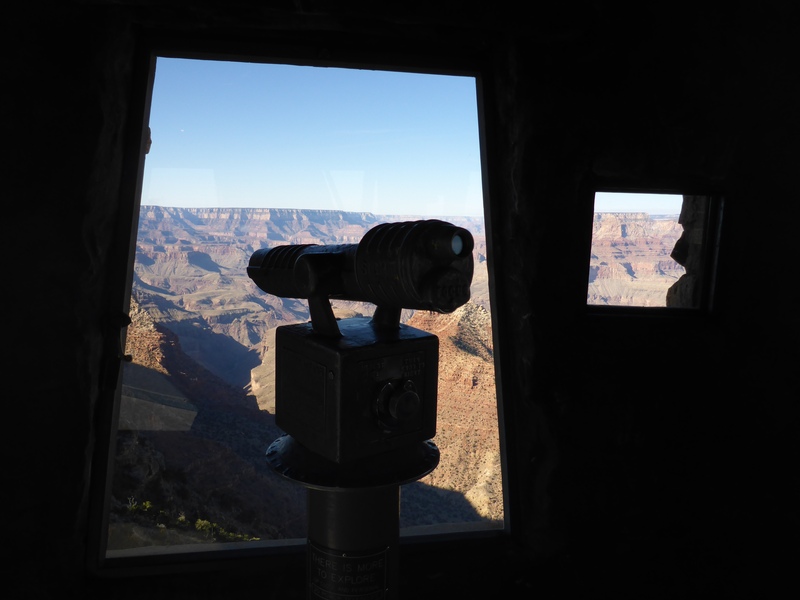 The Desert View Watchtower at the Grand Canyon is a magical place. 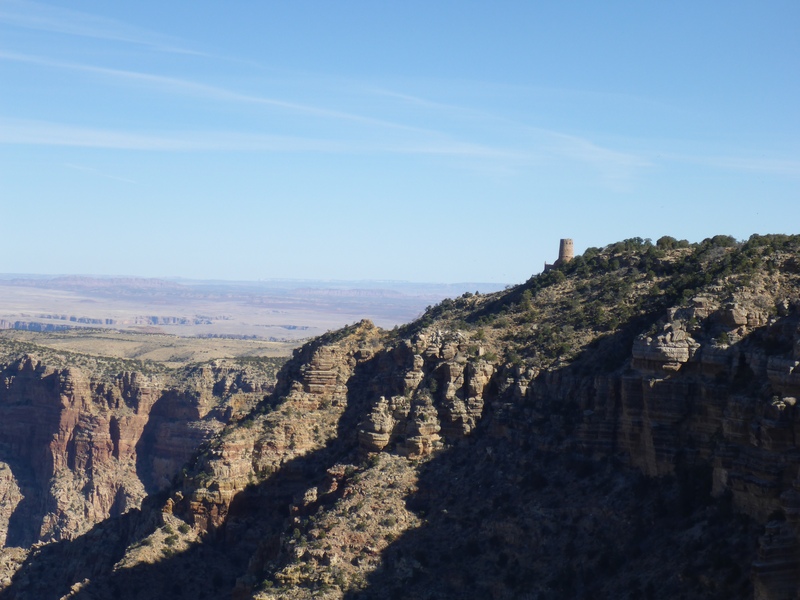 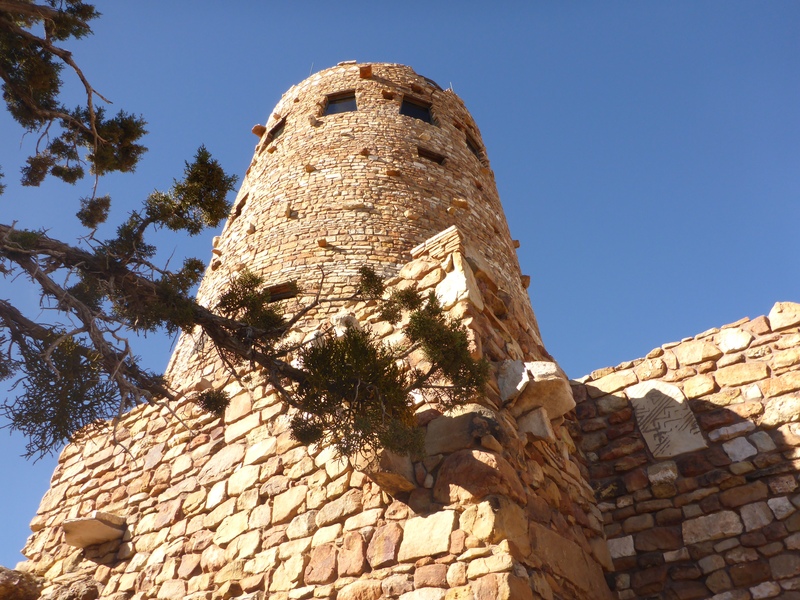 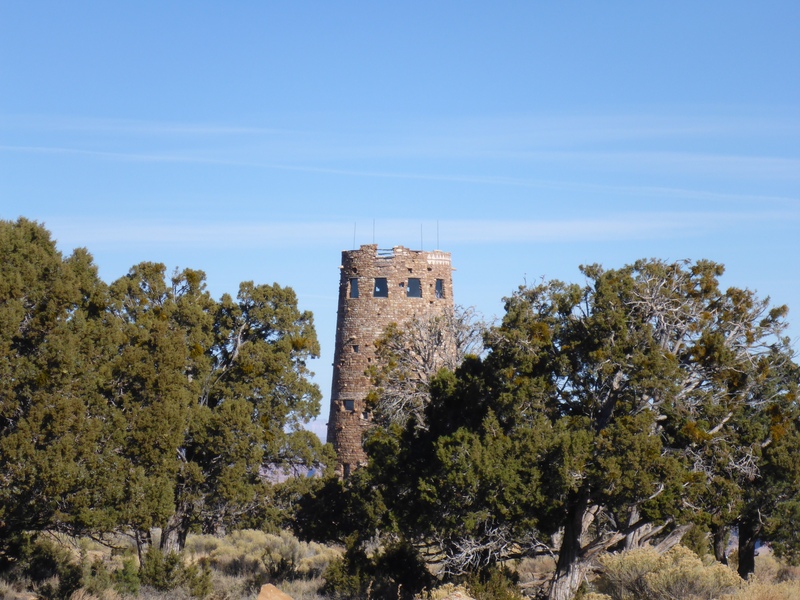 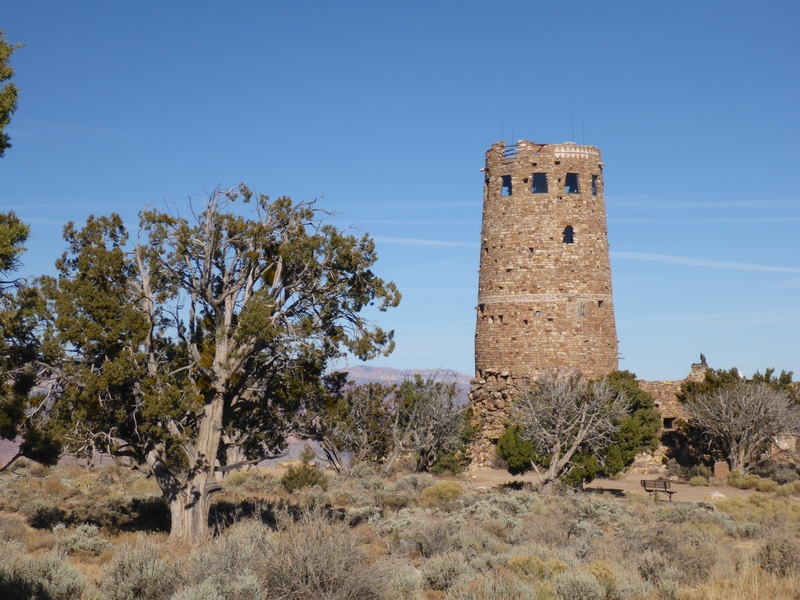 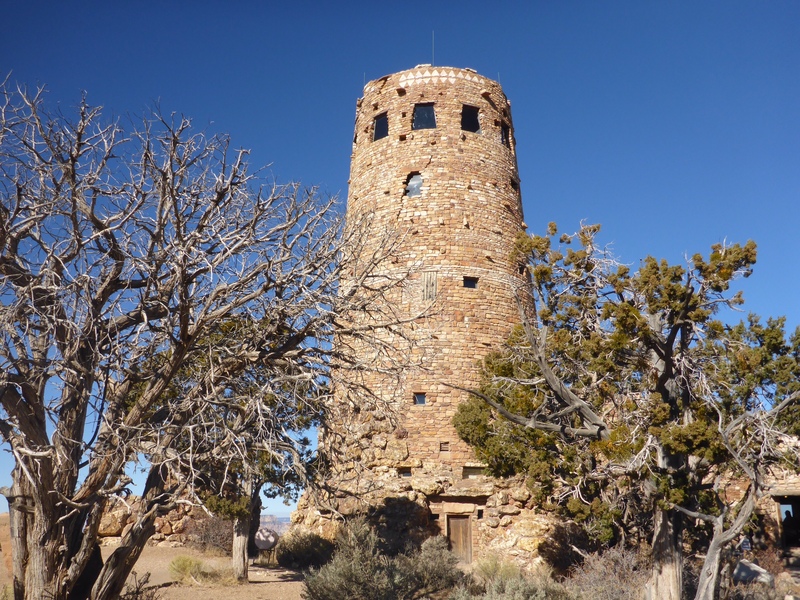 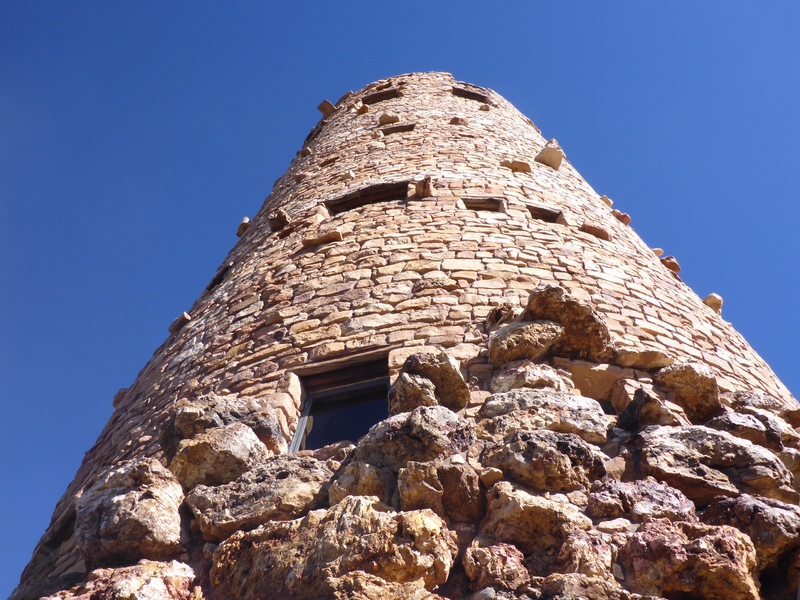 It is a great stone tower built right on the edge of the canyon rim way back in 1932. 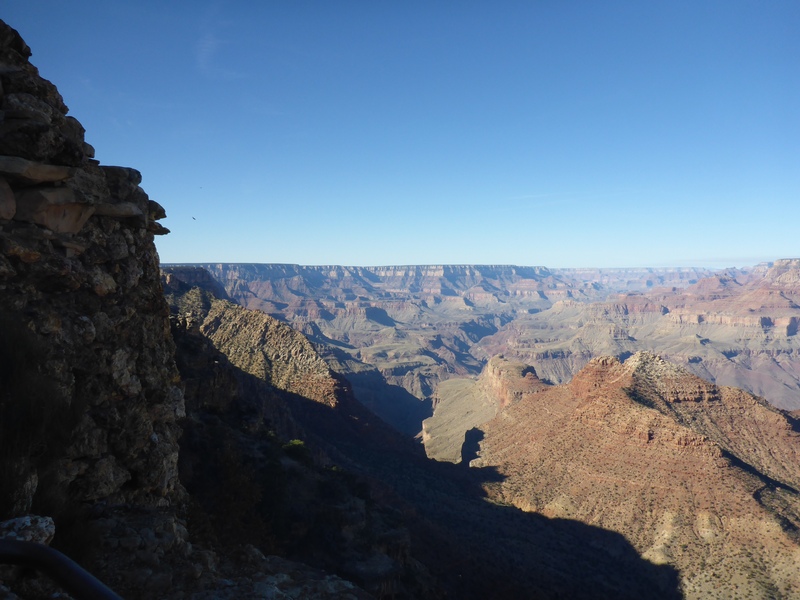 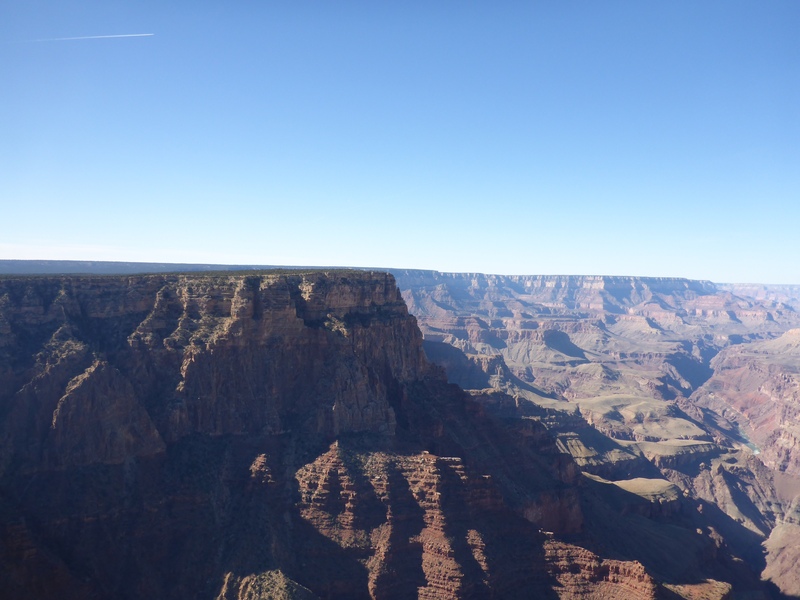 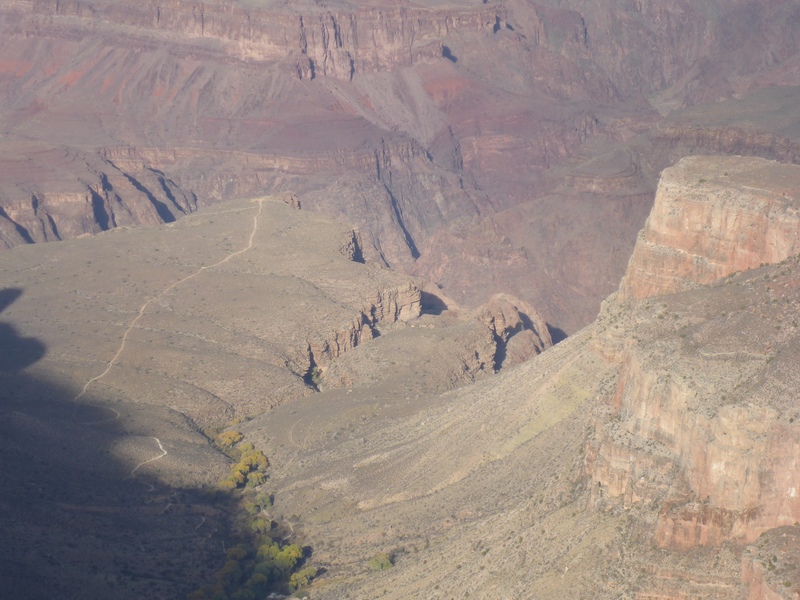 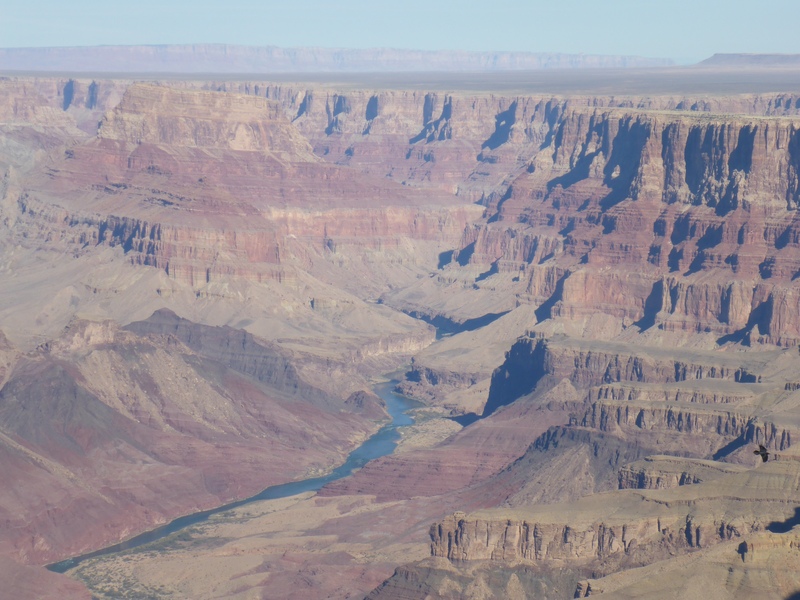 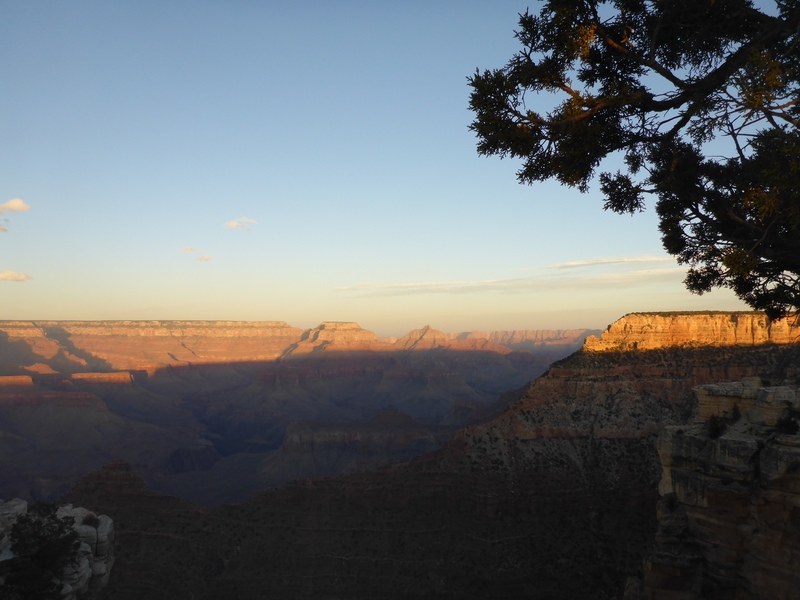 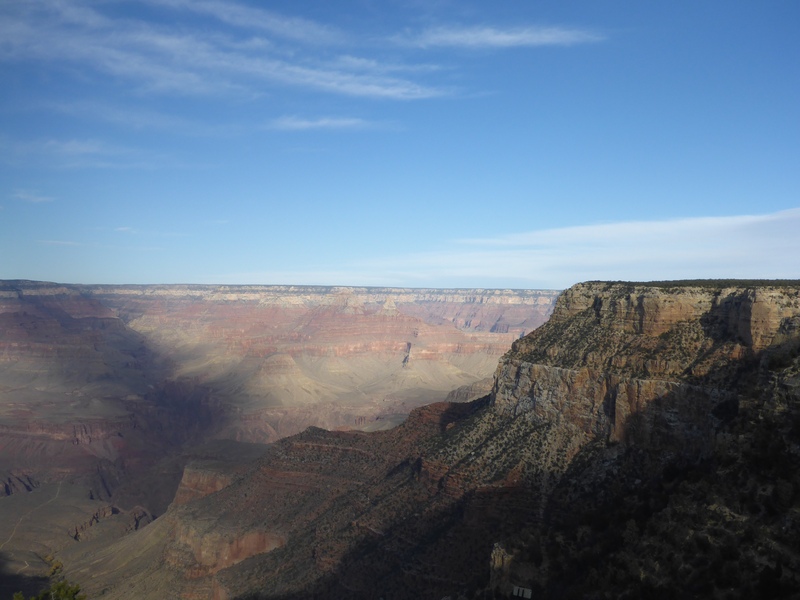 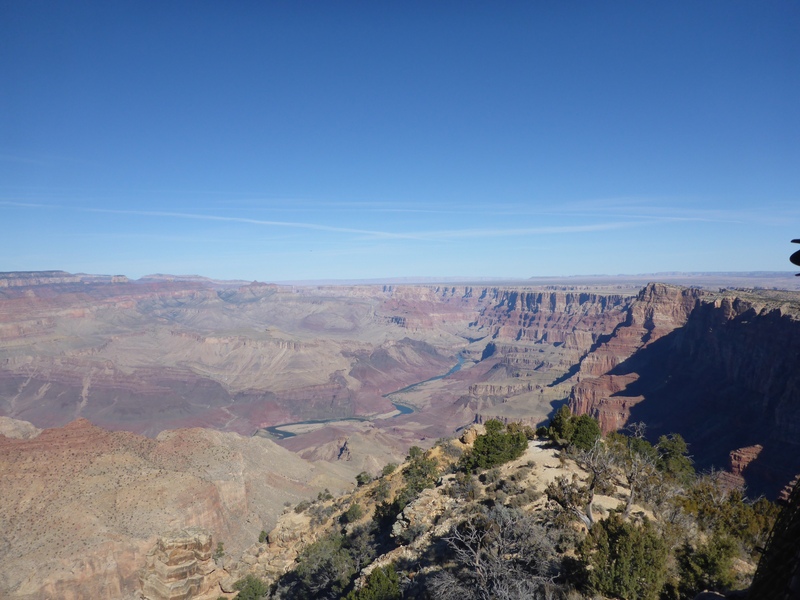 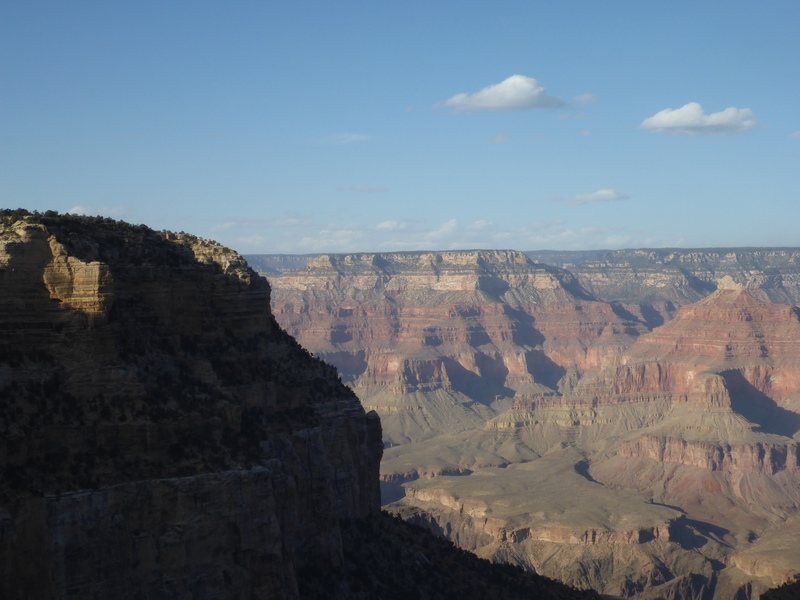 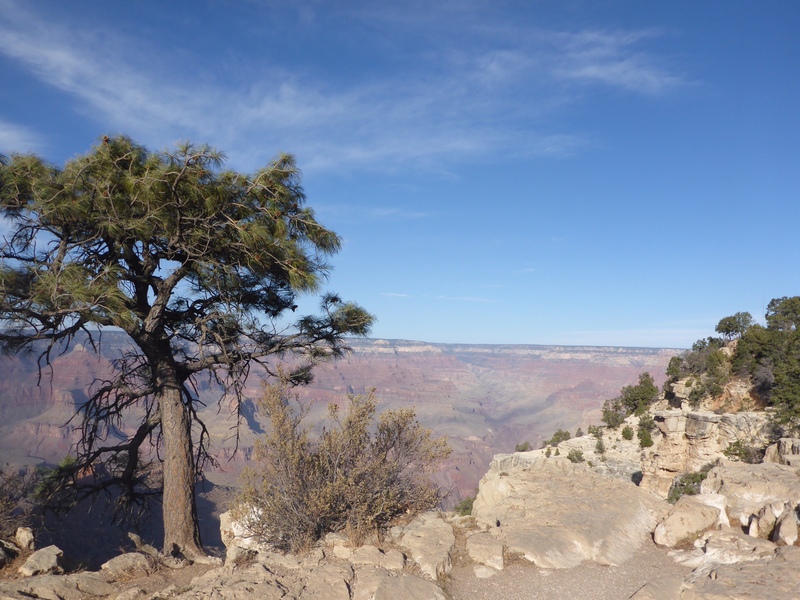 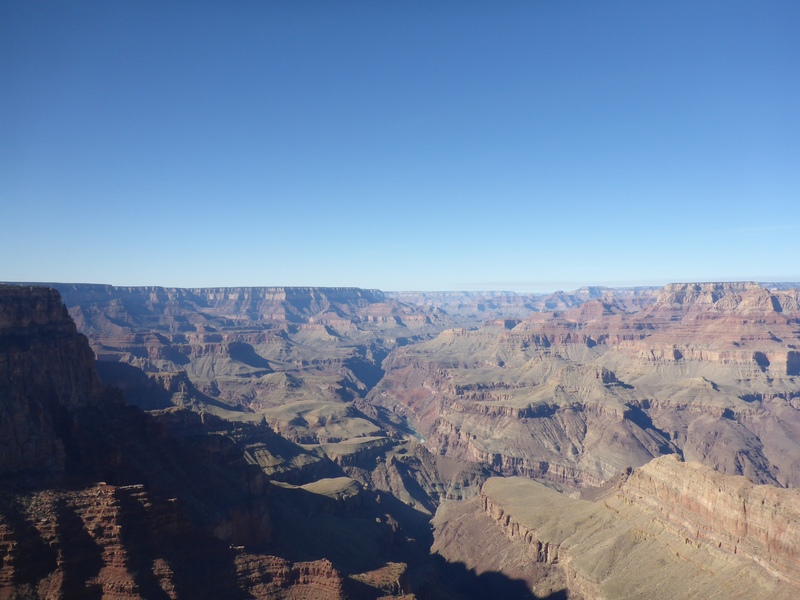 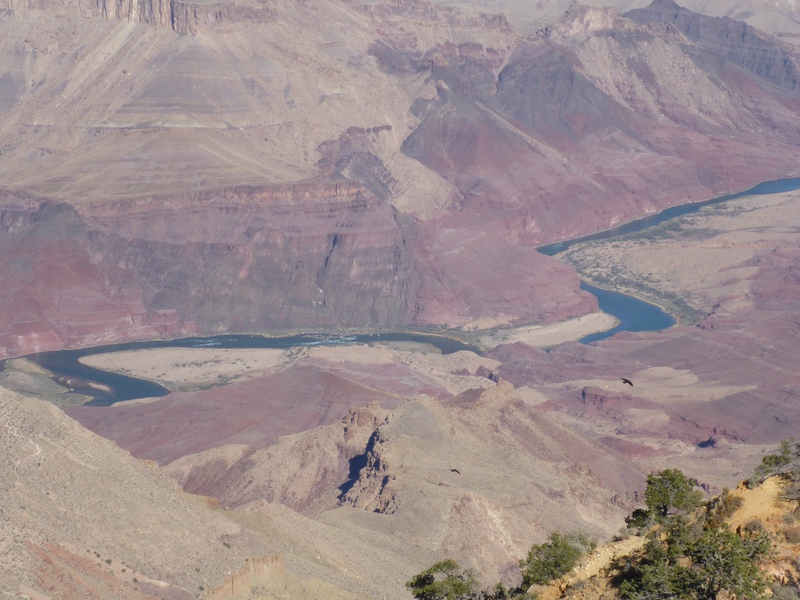 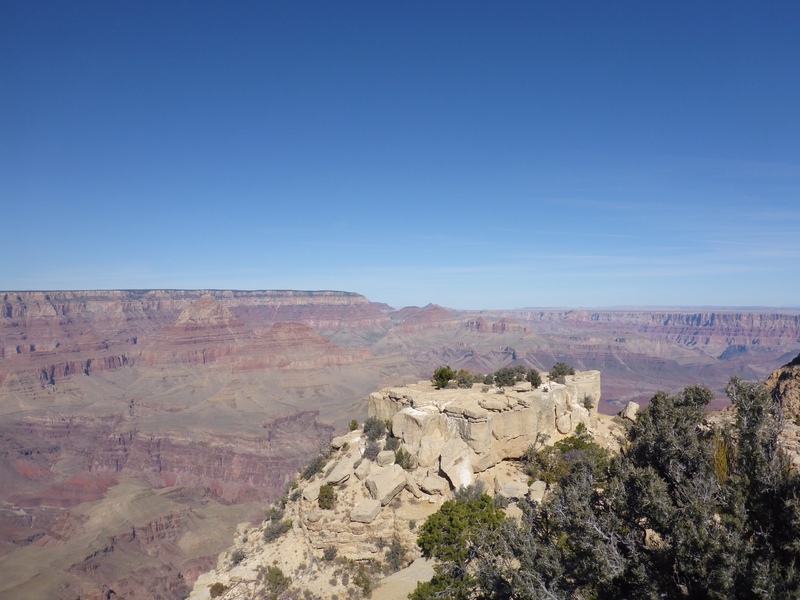 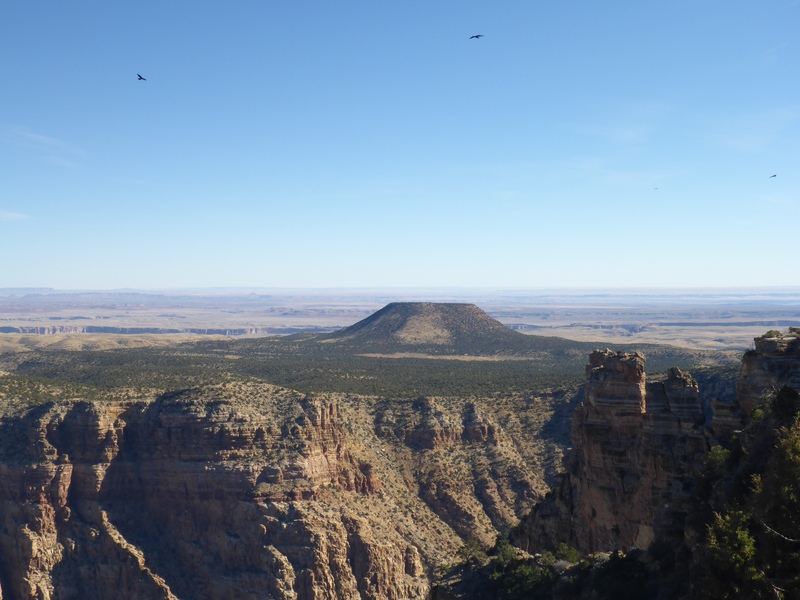 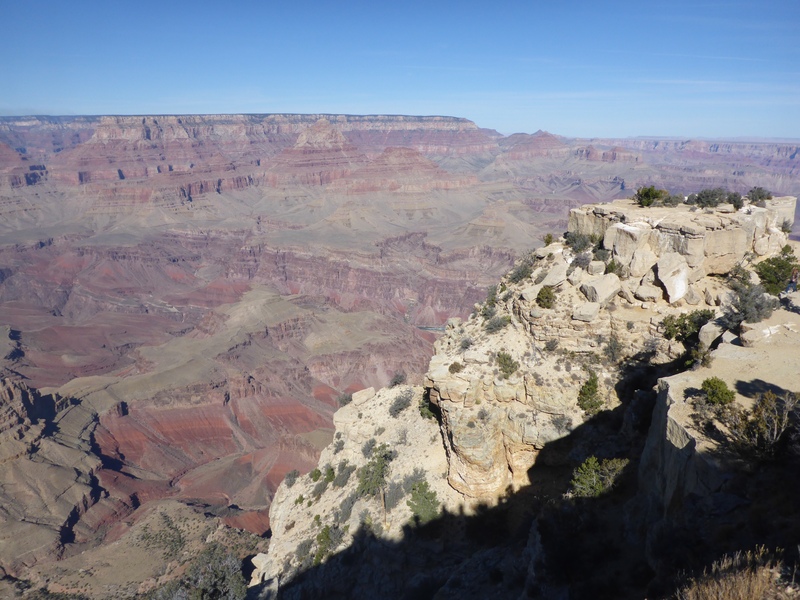 You can climb to the top and enjoy the views of the canyon and the Colorado River below. 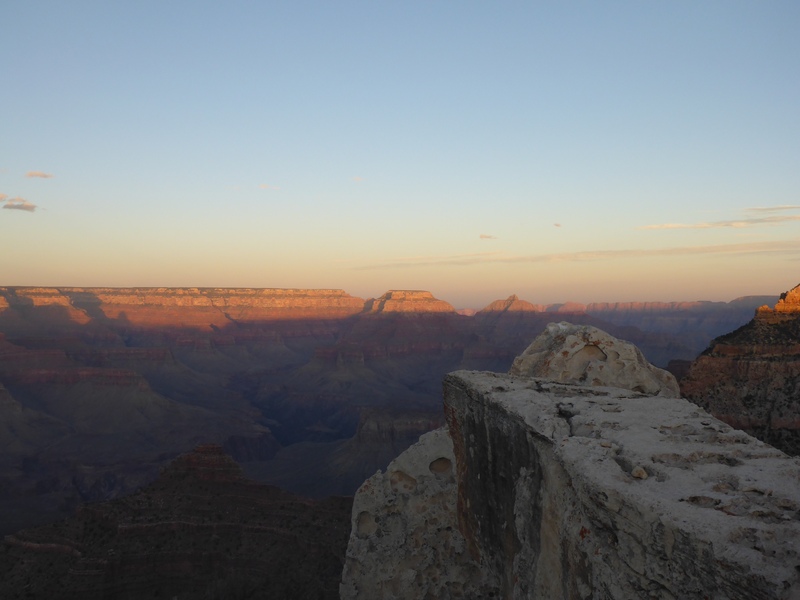 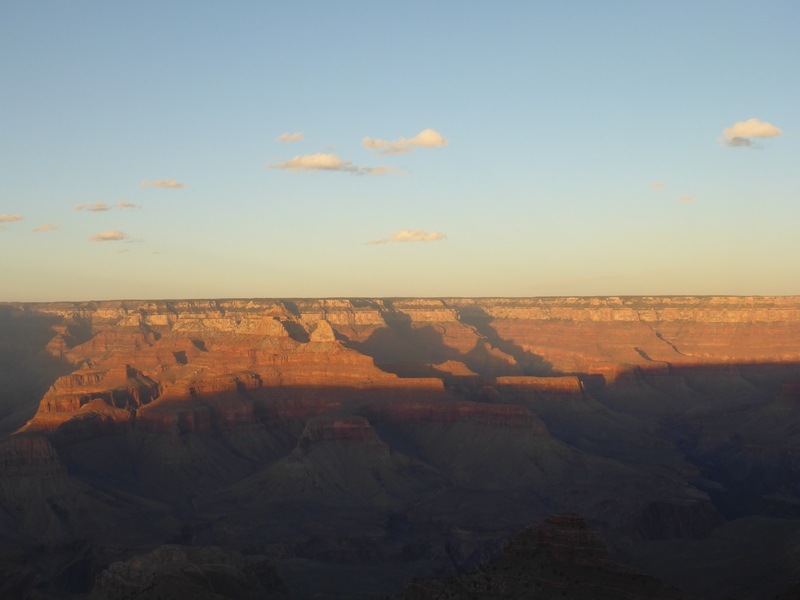 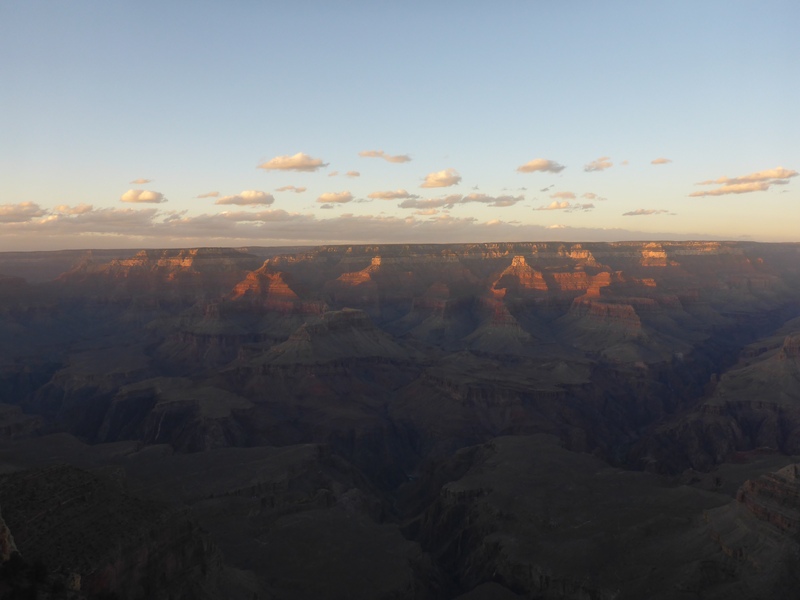 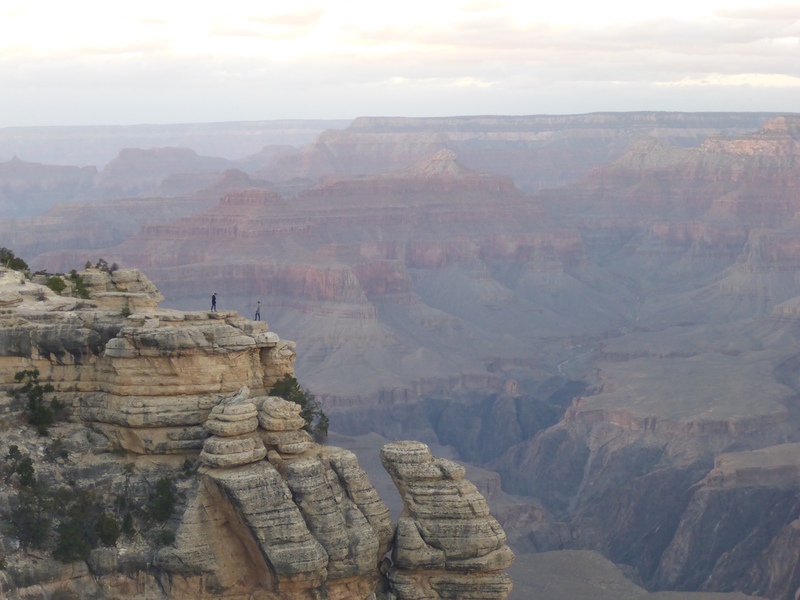 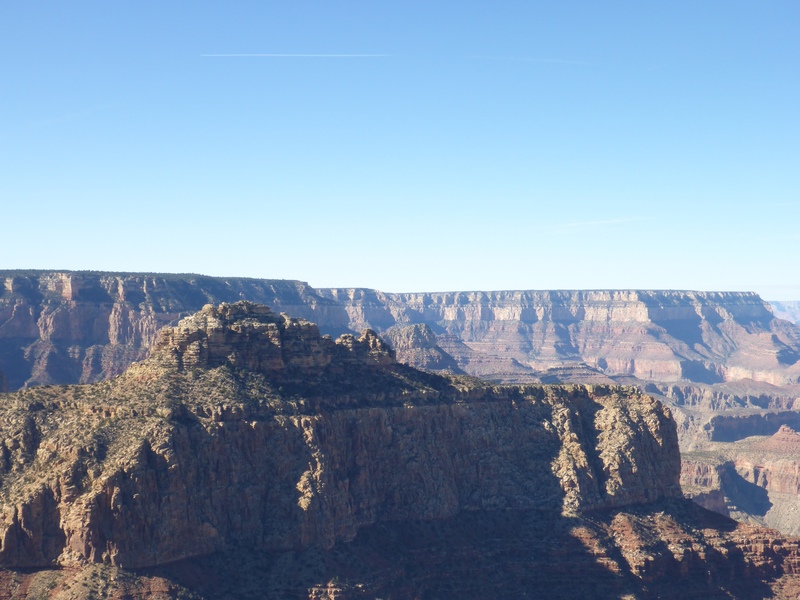 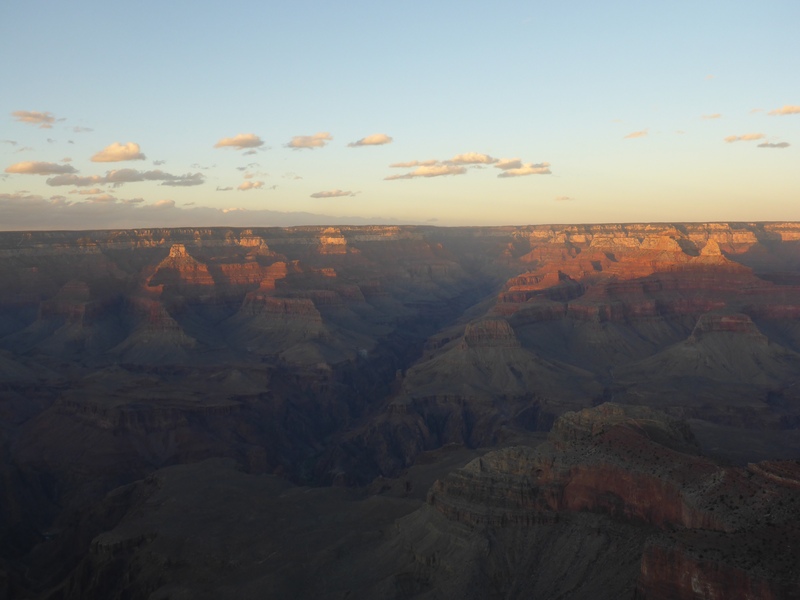 After that, you can strike out on a hike along the ledge of the Grand Canyon to get to your perfect photo spot. 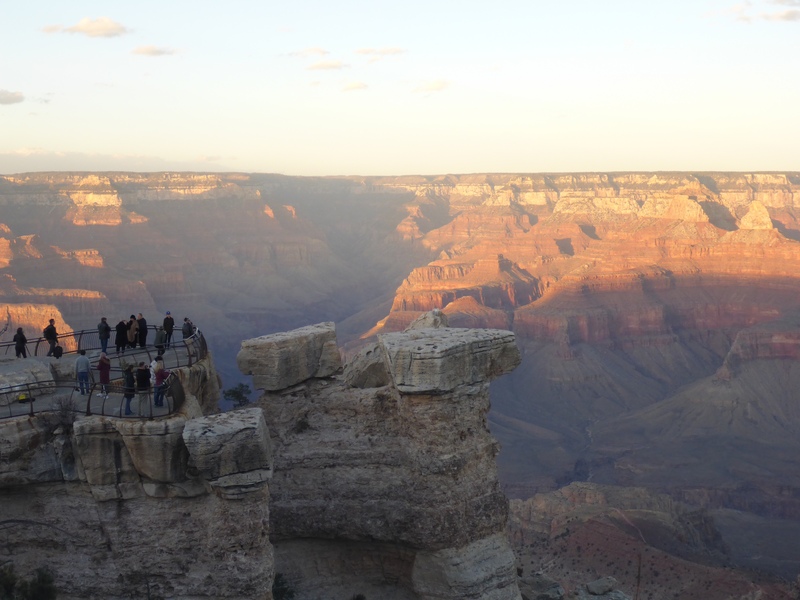 Mather Point is a popular destination just beyond the Visitor Center at the Grand Canyon. 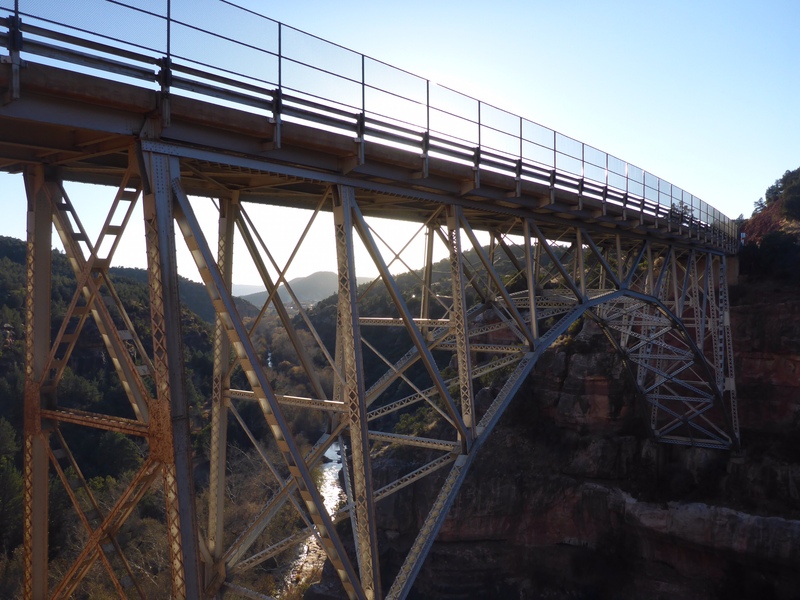 People experience it in many different ways, from the timid person who is afraid of heights and will not get even close to the edge, to the brave souls who will hike out beyond the boundaries to get that perfect photo from the ledge of their choice. 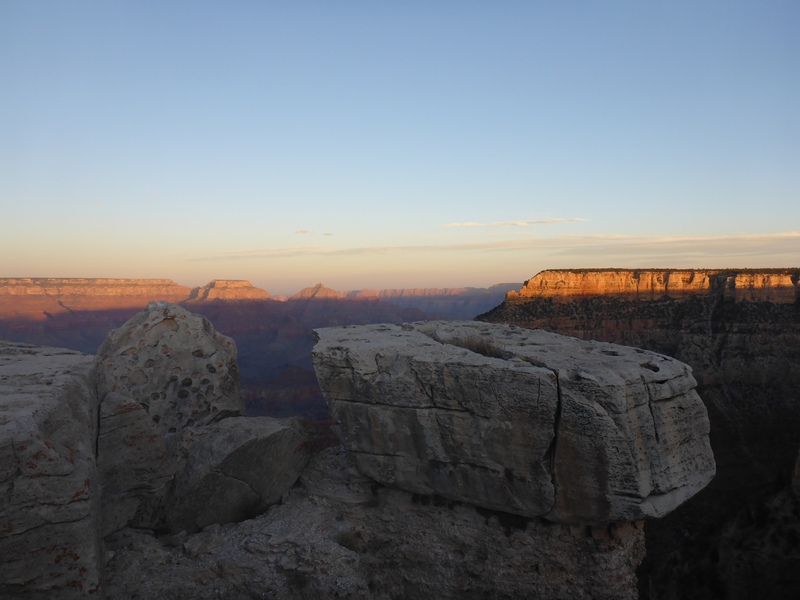 I fell somewhere in between, as I was content to walk up to the guard rail and lean over for my series of sunset photos. 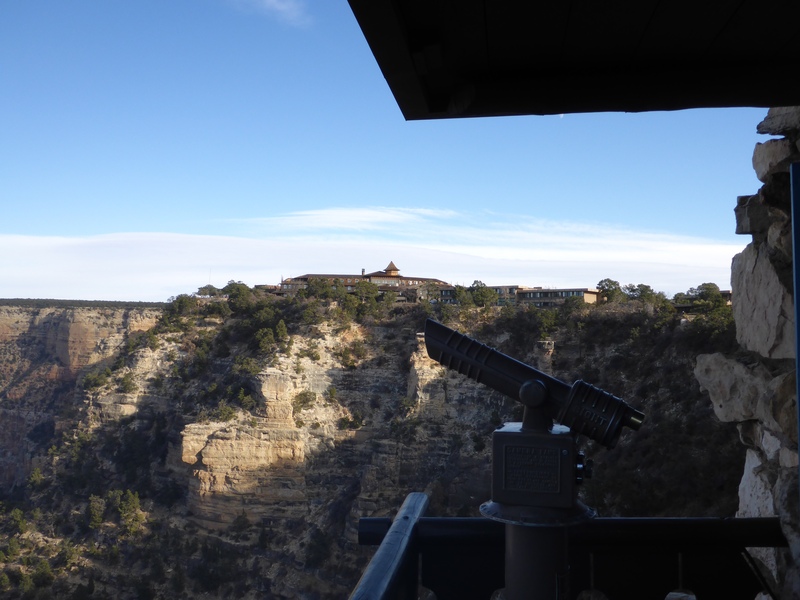 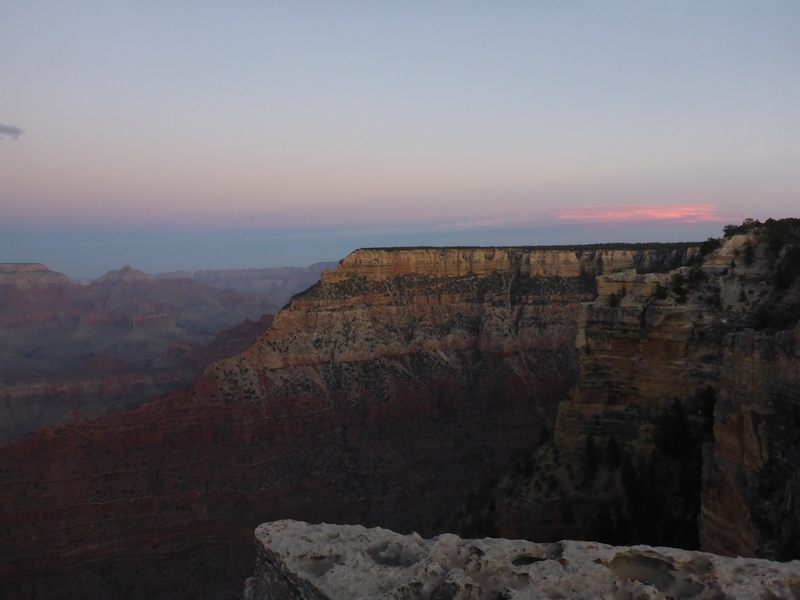 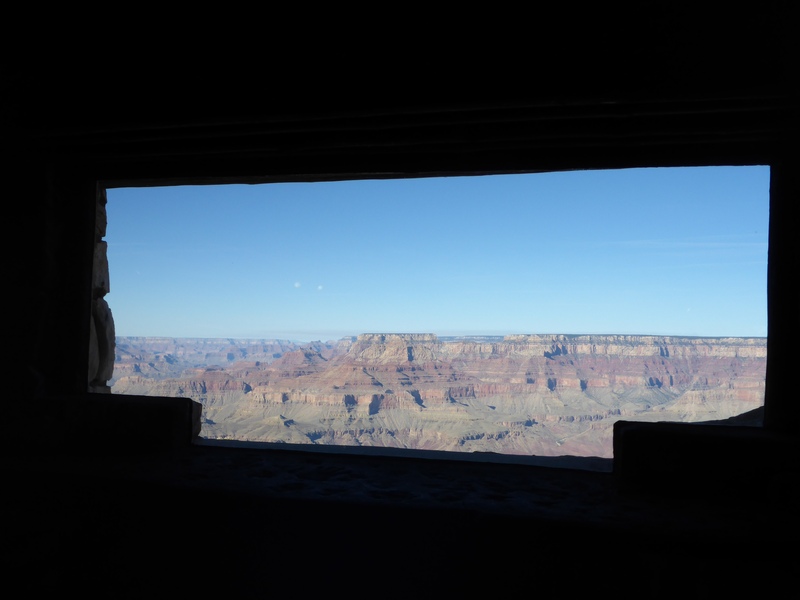 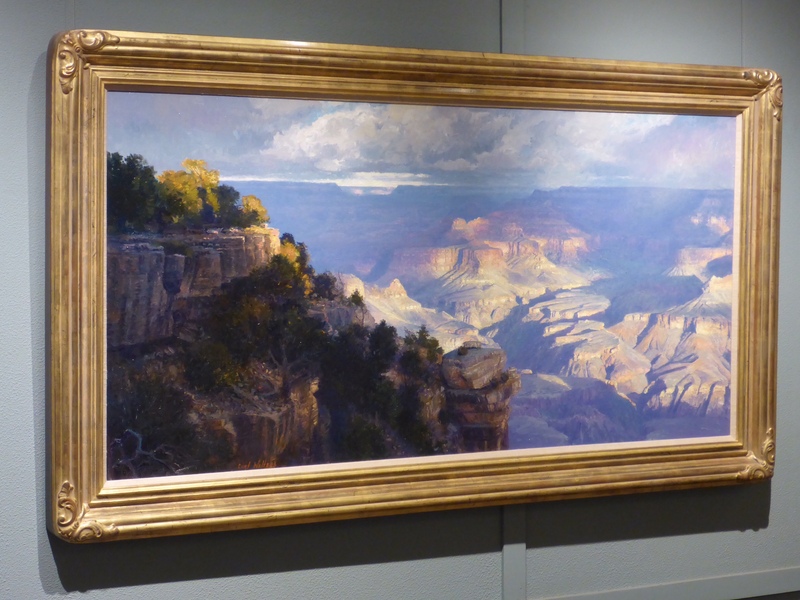 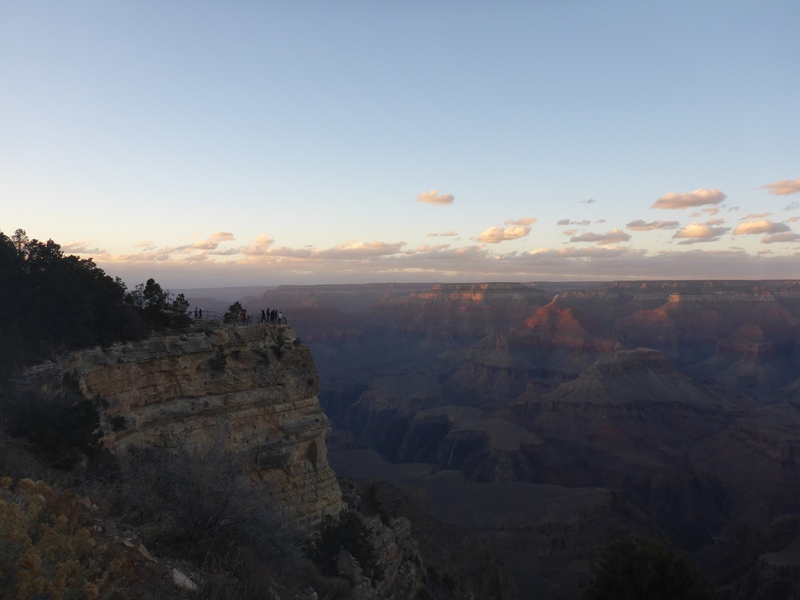 The Kolb Studio is perched on the ledge of the Grand Canyon. 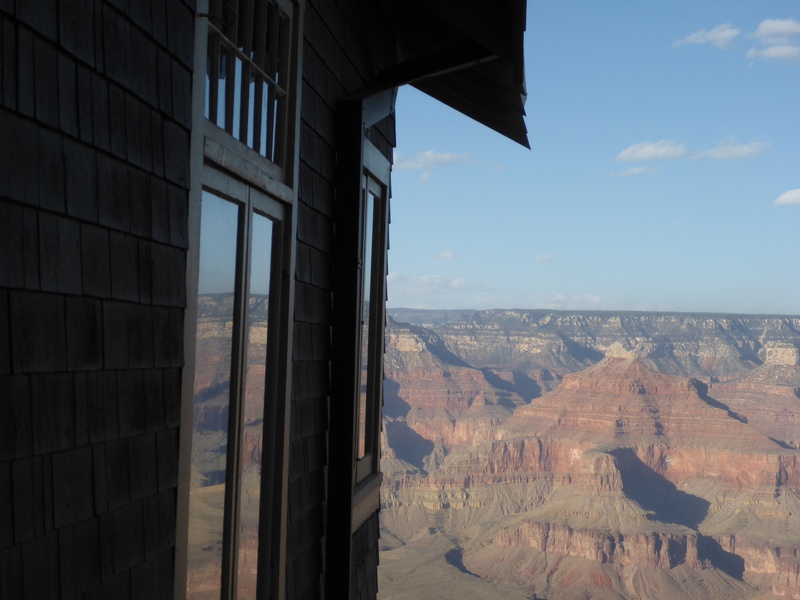 Imagine what it would have been like to study and create art here in the early 1900s.